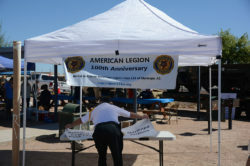 Home Tags Articles tagged with "American Legion"
American Legion Post 133 in Maricopa marked the 100th anniversary of the post-World War I founding of the American Legion with a flag-raising, food and displays at the Maricopa Veterans Center on Saturday. 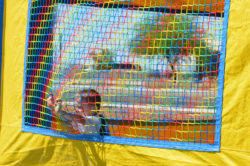 Col. Chuck Millar, the Hidden Valley Fire Department and Maricopa Fire/Medical Department had vehicles on display, and there was a bounce house for the kids. 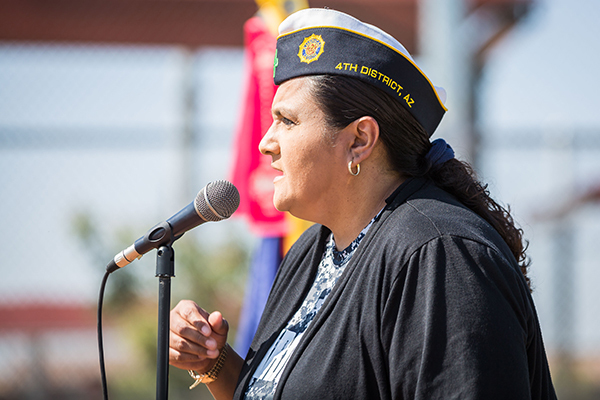 The first American Legion caucus was March 15-17, 1919, in Paris, France, and a charter was granted by the U.S. Congress in September. 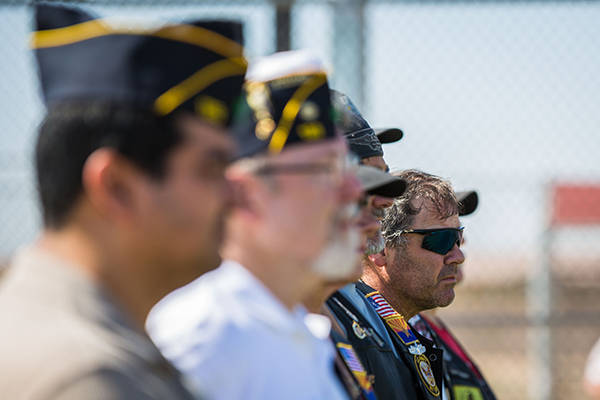 Today the Legion has more than 2 million members in 13,000 posts. 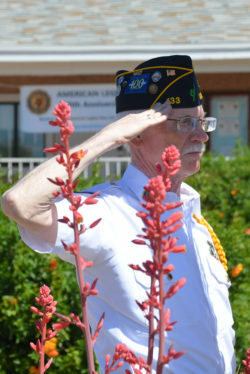 Honoring those who have fallen has been a long tradition of the American Legion. About a year ago, members of American Legion Bernie G. Crouse Post #133 formed an Honor Guard to post colors and honor those veterans who have died. Crane said he brought up the idea at a Legion meeting. After asking for a show of hands on who would be interested in being on the Honor Guard, about a dozen volunteered. 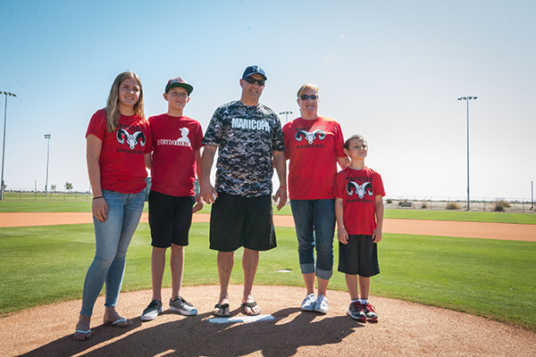 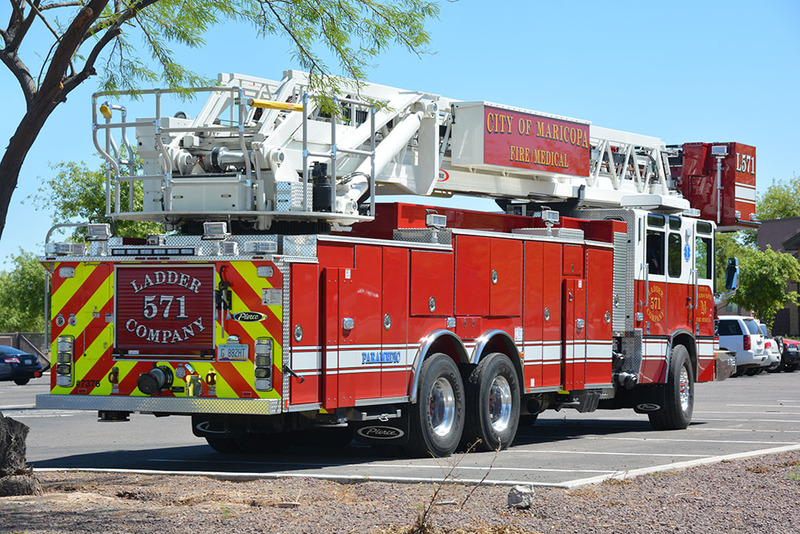 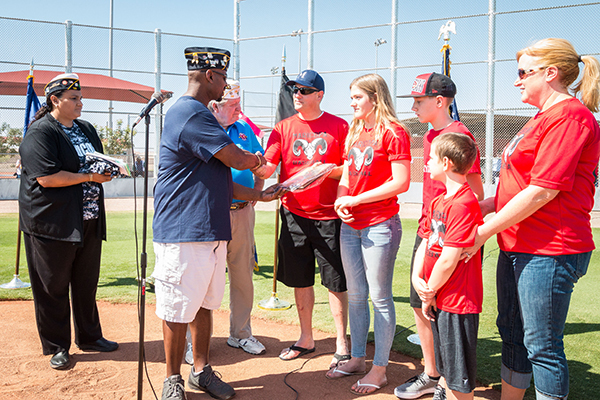 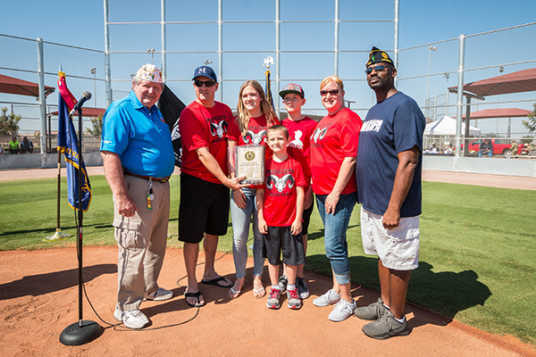 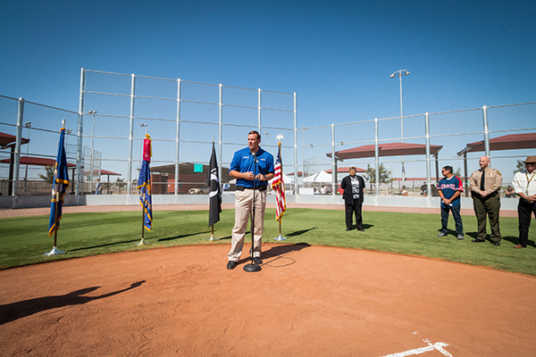 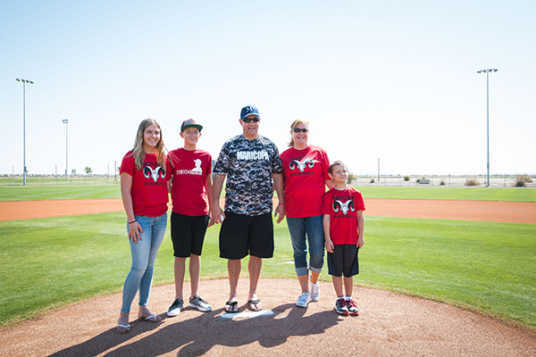 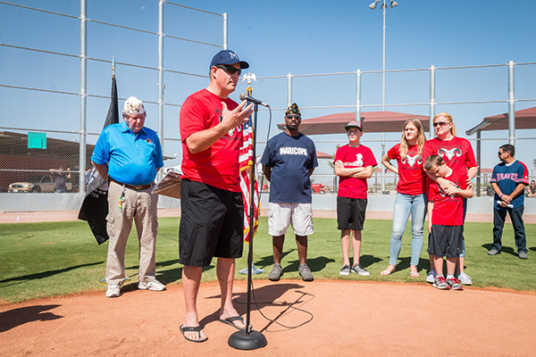 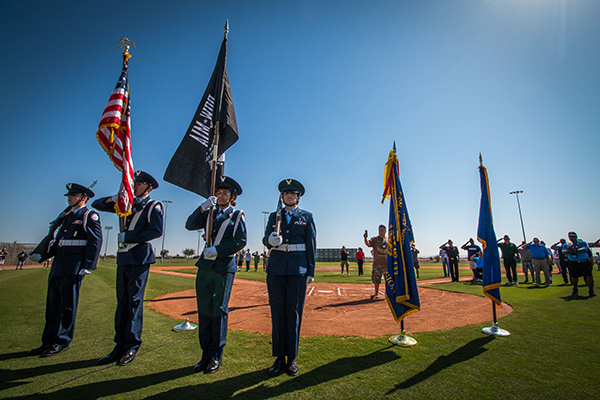 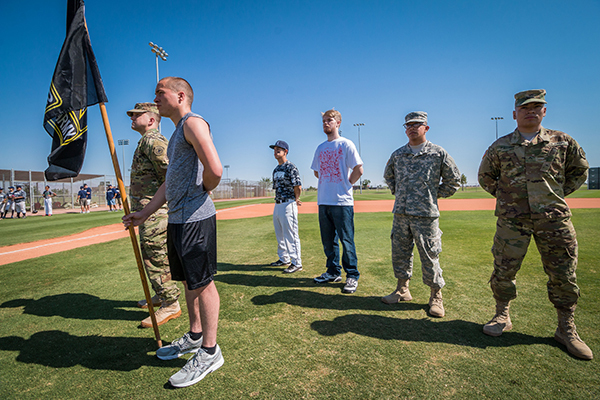 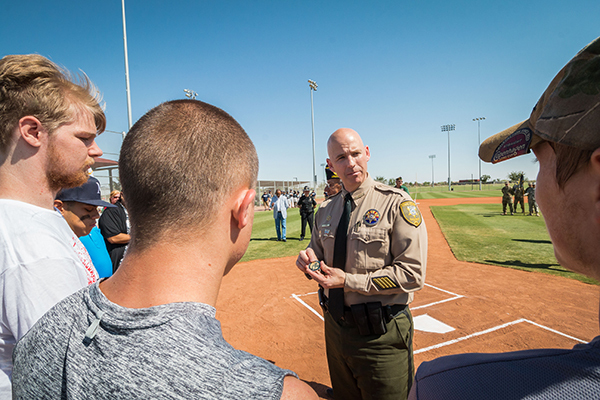 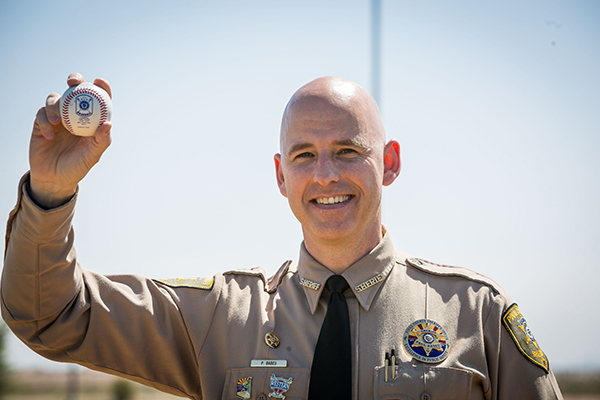 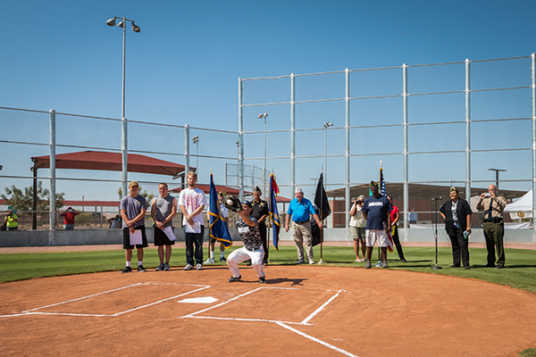 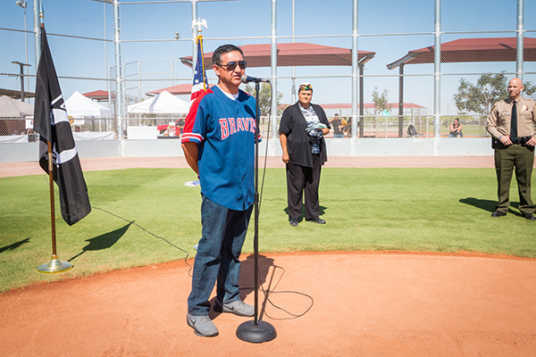 The Maricopa Honor Guard has presented the Colors at softball and baseball games, Cub Scout meetings and the city’s Fourth of July celebration as well as performing Honors at celebration of life ceremonies and funerals. 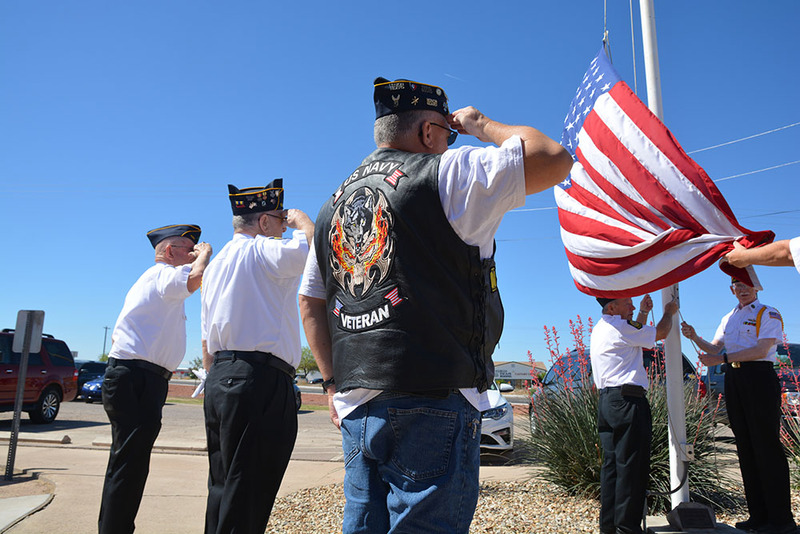 They are prepared to include a full 21-gun salute at funerals or special ceremonies. “We did one funeral ceremony up in Phoenix for one of our members whose father-in-law passed away. We have done several other flag presentations. Most Legions, of any size, have an Honor Guard. 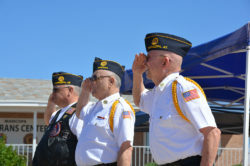 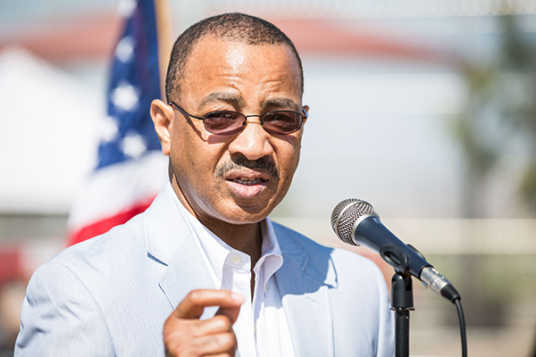 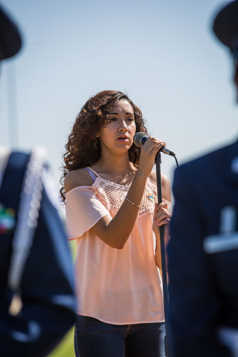 Honor Guards instill patriotism in our youth,” Crane said, adding that 2019 is the 100th anniversary of the American Legion. 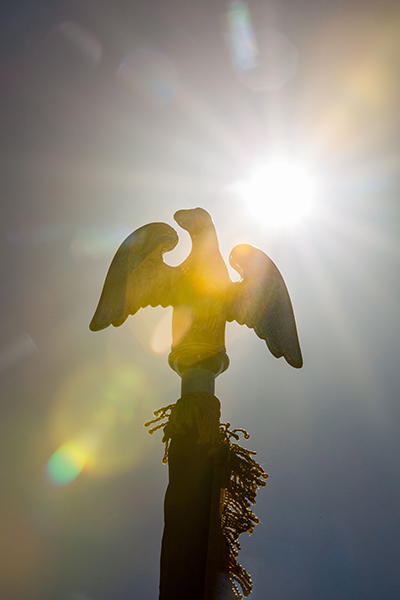 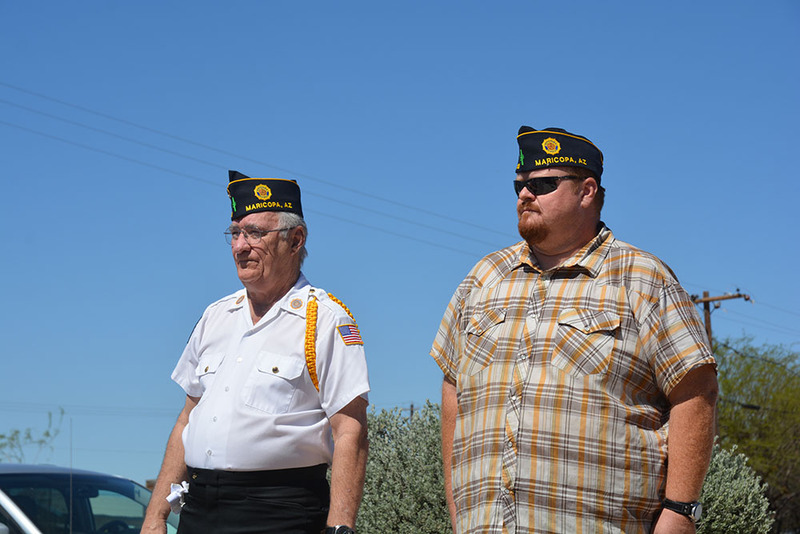 The Honor Guard has already become an important part of Maricopa’s Legion Post. 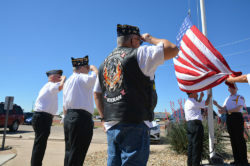 “The Honor Guard shows that we (Post #133) are active in the community. 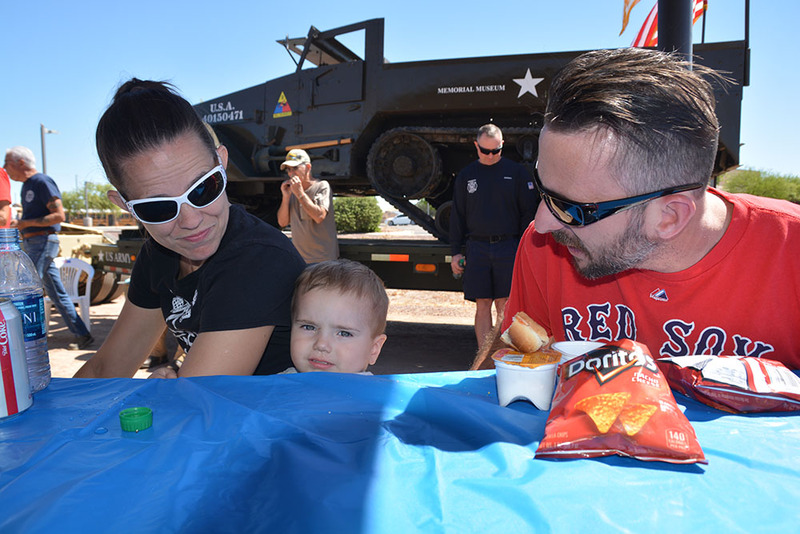 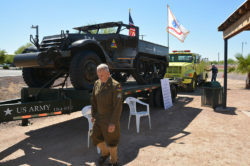 It allows us to have a military presence in the community and to honor those individuals connected with military,” said Post Commander Derek Jeske. 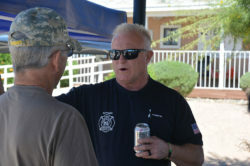 Jeske said the Maricopa post has a growing younger membership as about 40 percent of the members are under 50 years old. 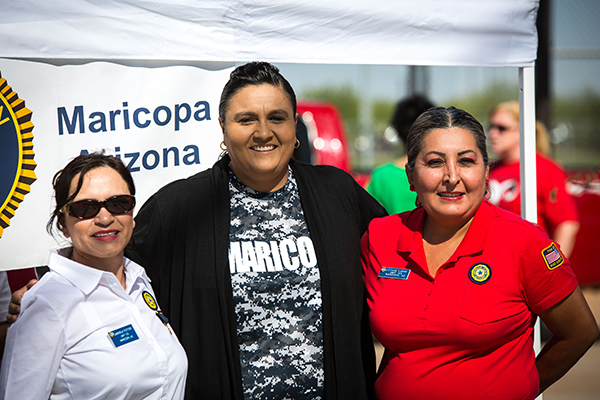 Maricopa’s post was chartered in 2009 and welcomes veterans from all branches of the armed forces. Its main goal is to support veterans, veterans’ families and local youth programs. 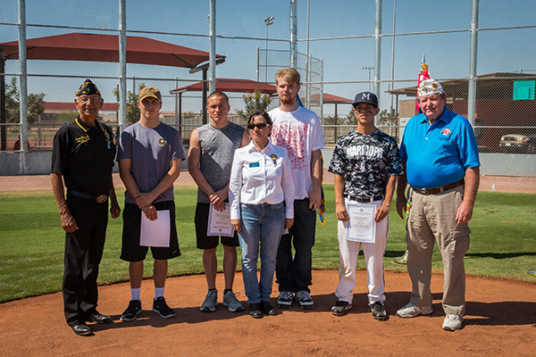 Post #133 supports or sponsors two American Legion Baseball teams, the American Legion Law Enforcement Career Academy, a boys state program, Copa Crush girls softball team, Cub Scout Troop #997, Boy Scout Troop #993 and Venture Crew #2993. 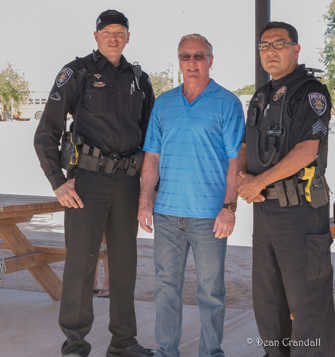 This story appears in the April issue of InMaricopa. 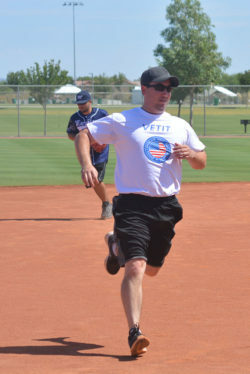 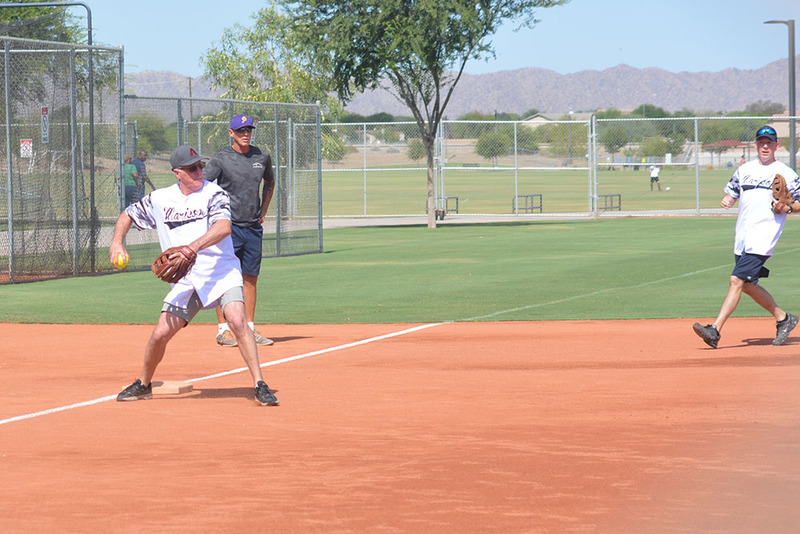 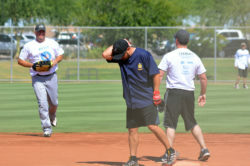 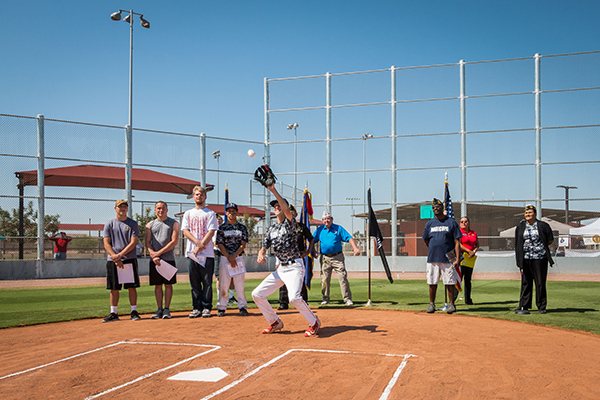 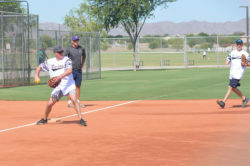 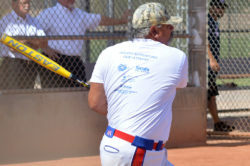 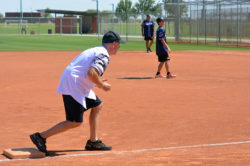 The American Legion hosted its annual softball game against city staff, elected officials and community members the morning of the Fourth of July at Copper Sky. 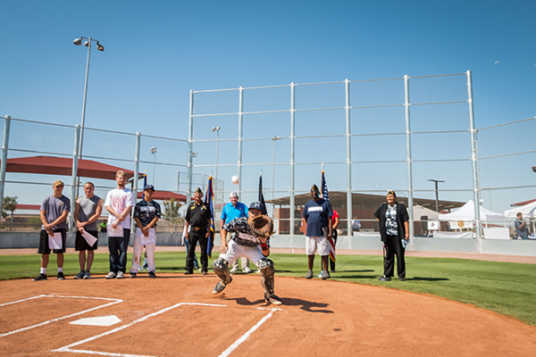 Just for fun, the game included Legion baseball players, police and fire officials and current and former mayors while giving the Be Awesome Coalition a spotlight. Maricopa will see its inaugural Veterans Day Parade this November. 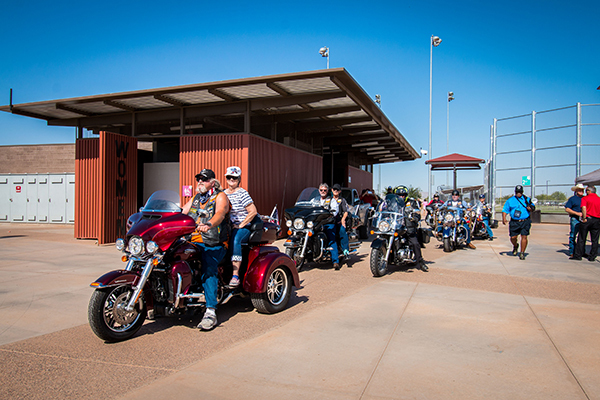 The route begins 9 a.m. on Nov. 11 at Legacy Traditional school, continues north on Porter Road, and ends near the lake at Pacana Park. 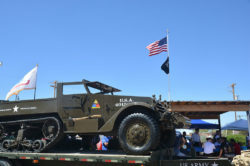 Portions of Porter Road will be closed during the event. 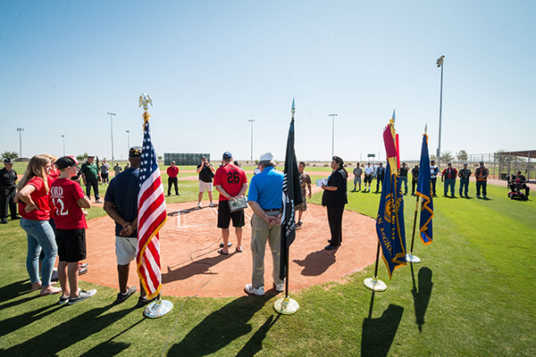 After a flag-raising ceremony, veterans and their families will be treated to a lunch and ceremony inside Leading Edge Academy. The American Legion Auxiliary Unit 133, Tortosa Home Owners Association, Leading Edge Academy and the City of Maricopa have partnered to organize the event. 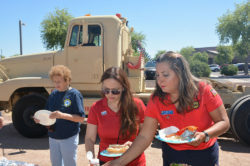 Auxiliary Unit Members Gabriela Potter and Janice Vitali said planning efforts began one year ago. 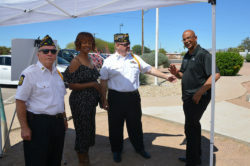 Aiding in the early planning stages was the city’s Special Events and Marketing Manager Niesha Whitman. 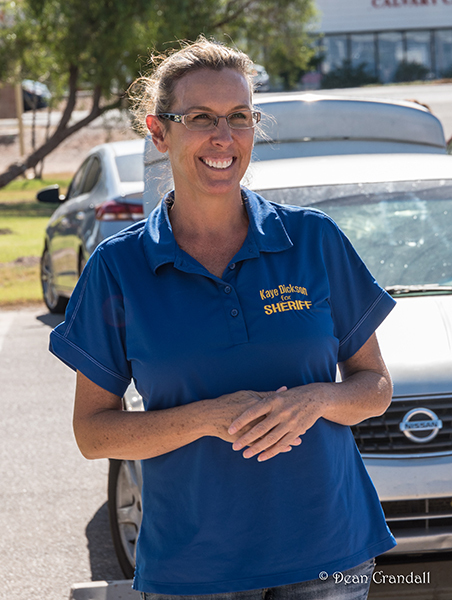 “She kind of guided us with what we needed to do because it has never been operated like this. 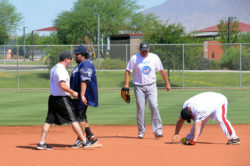 There were no guidelines, yet,” Potter said. 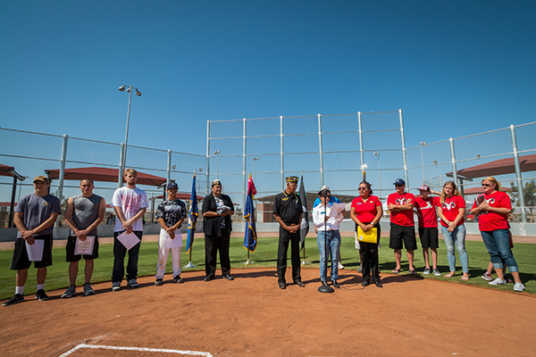 Maricopa Unified School District, Legacy Traditional School and Sequoia Pathway Academy sponsor the event and will encourage students to participate. Thursday morning, Potter and Vitali met with Tortosa Lifestyle Director Christine Garcia to finalize details. 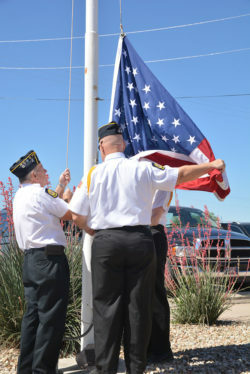 Garcia said float entries are encouraged to display patriotism. 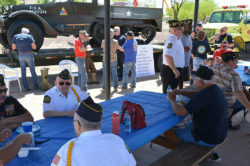 Members of the planning committee request the focus stay on veterans during the parade by leaving out political messages and business advertisements. 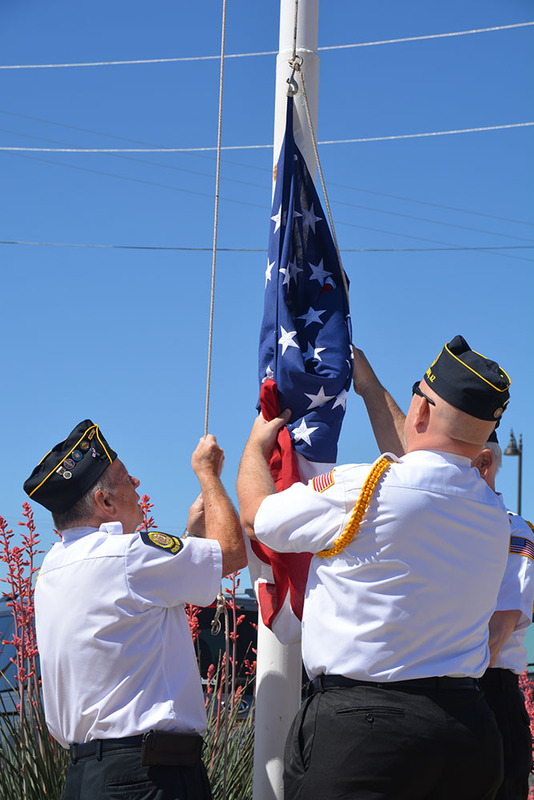 Students, veteran and military organizations, local law enforcement and fire departments are all expected to participate in the parade and ceremony. 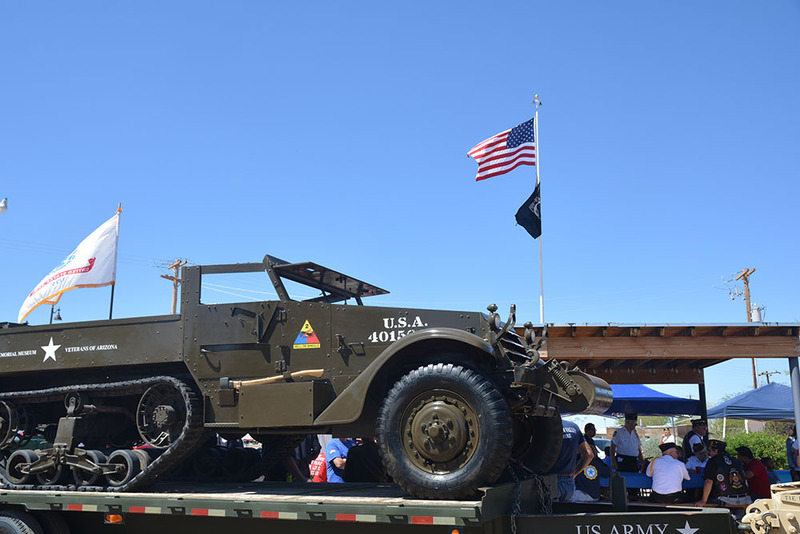 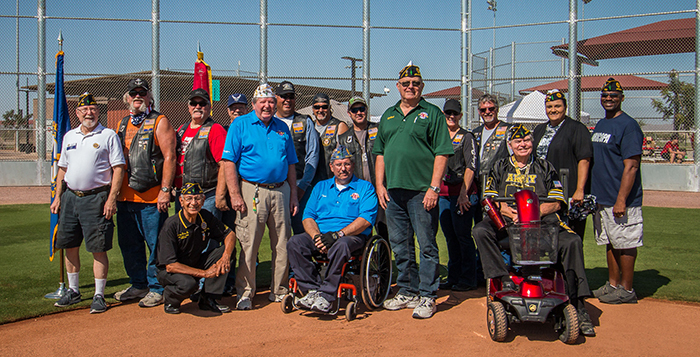 Maricopa has historically held various events celebrating Veterans Day. Potter and Garcia agreed the combined effort through multiple organizations in the city is unifying. 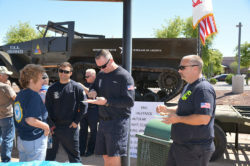 Registration for the parade is currently under review by the city. 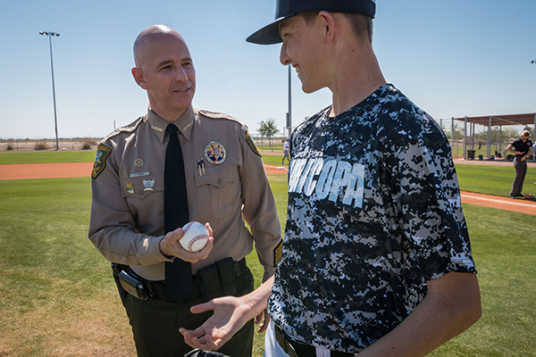 InMaricopa will update this story with a link to registration once available. 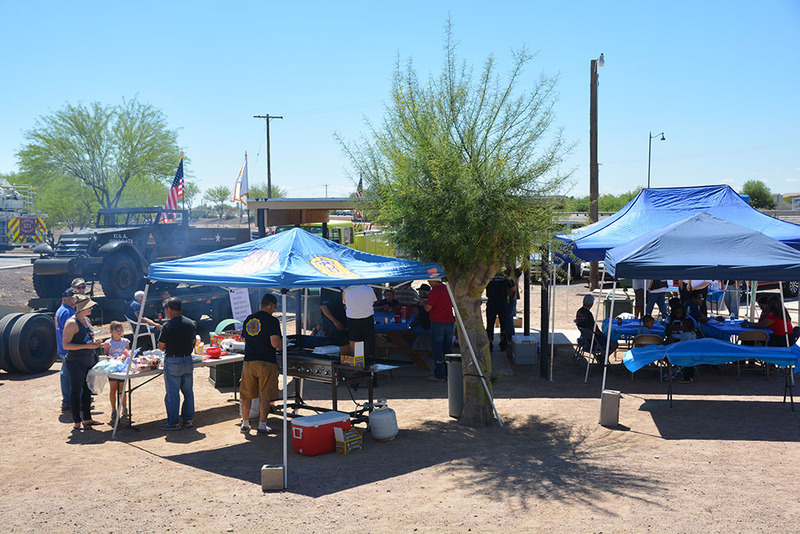 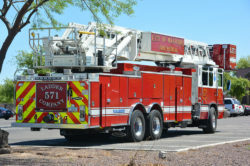 American Legion Post 133 will host its annual appreciation barbecue for first responders Sept. 9 at the Maricopa Veterans Center. First Responders Appreciation Day will celebrate local law enforcement, firefighters and emergency medical technicians from 10 a.m. to 2 p.m.
“Basically this is to give back to those who have given so much for us and put their lives on the line for us. 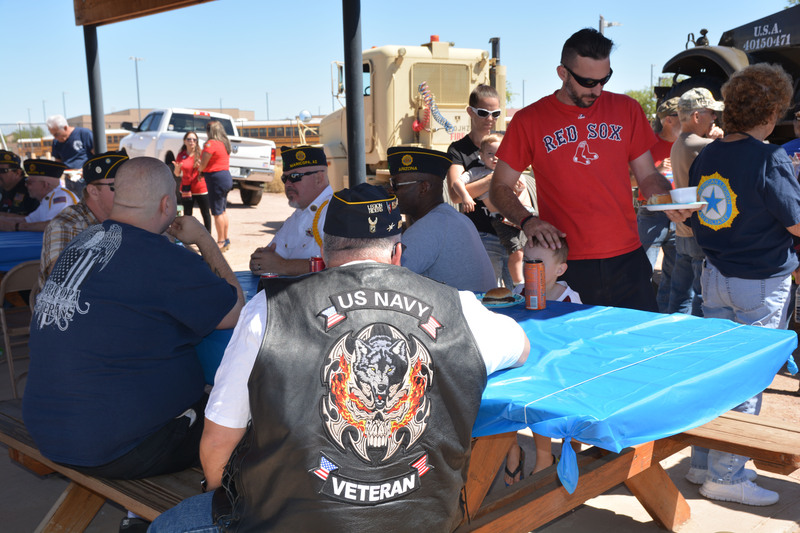 It’s our way of saying, ‘Thank you,’” said John Anderson, post service officer and director of the American Legion Riders Post 133. 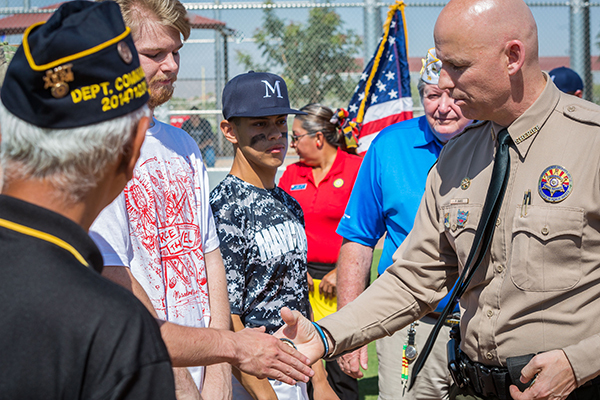 Families of veterans and first responders are also welcome to attend, he said. 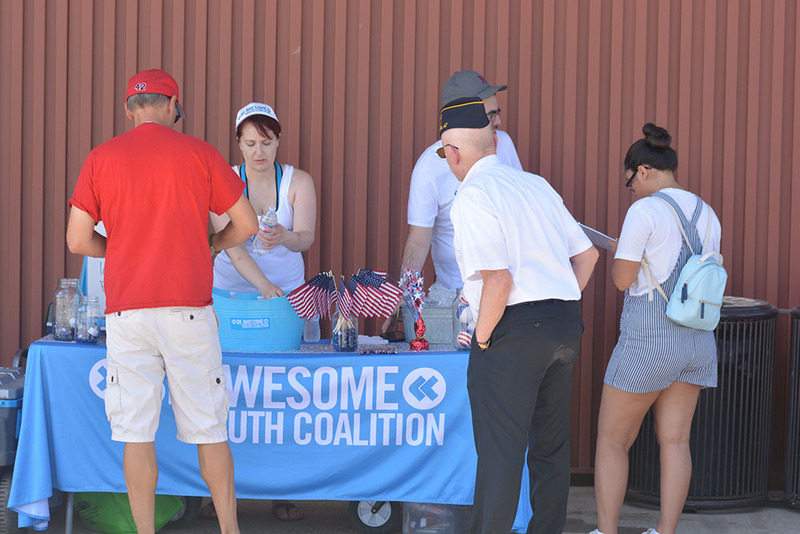 The post placed donation jars in various stores throughout the city two months ago to raise funds for the cost of the event. 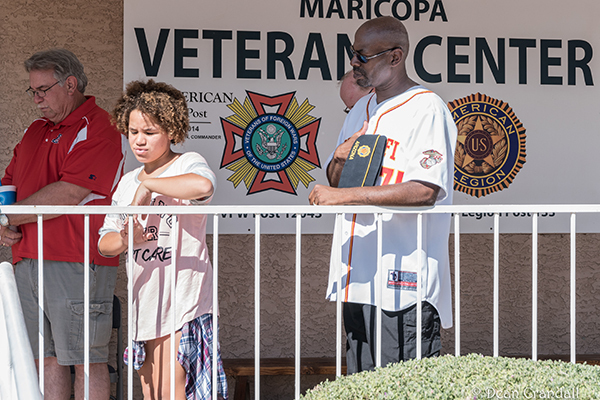 The Maricopa Veterans Center is at 44240 W. Maricopa-Casa Grande Highway. 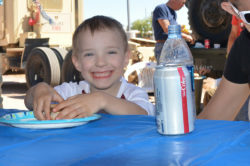 For more information call 303-589-9146. 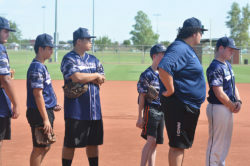 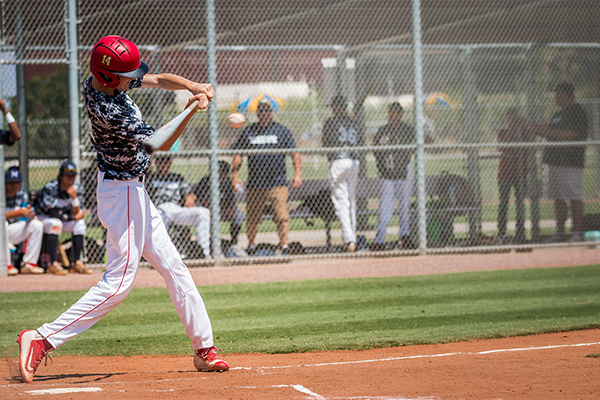 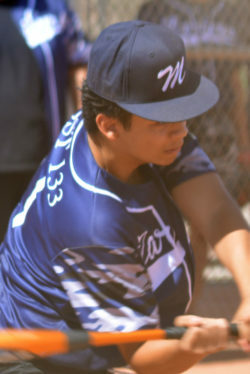 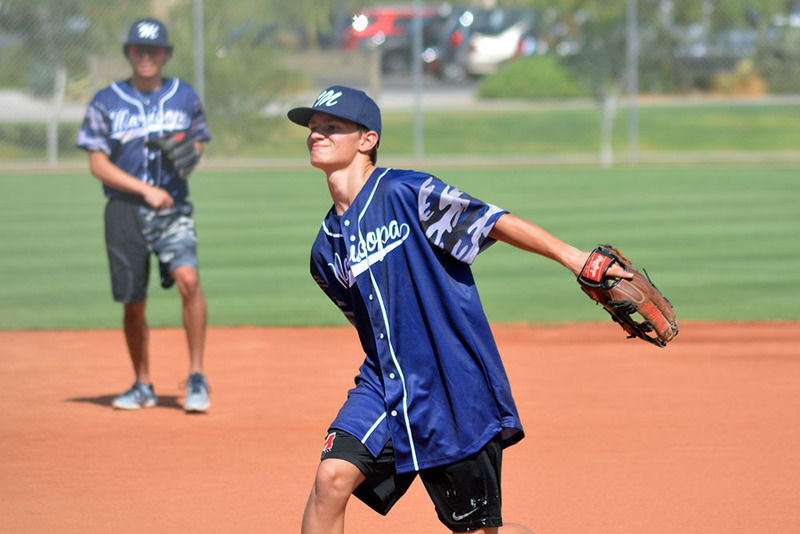 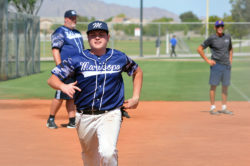 The Maricopa American Legion Baseball team, sponsored by Post 133, finished first in the region to qualify for the state championship tournament. 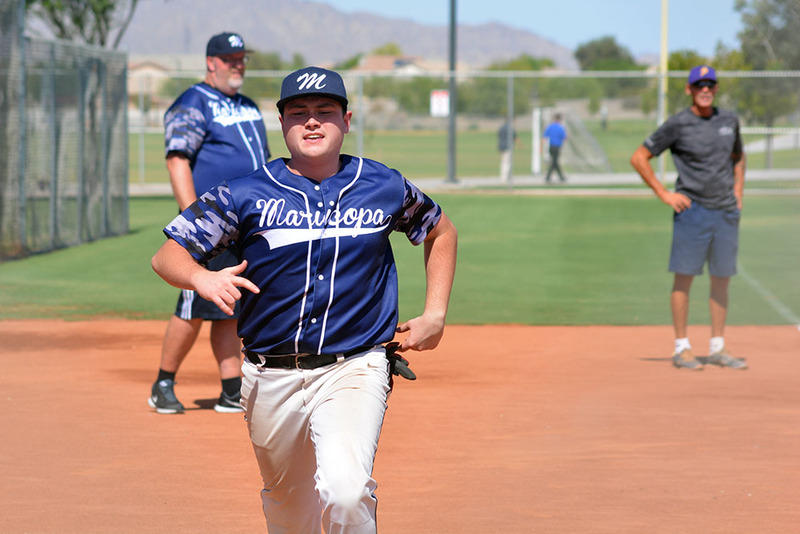 Round 1 of state starts Saturday. When: July 13, 7:30 p.m. 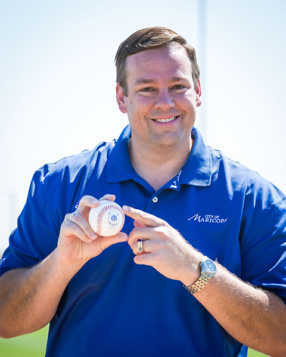 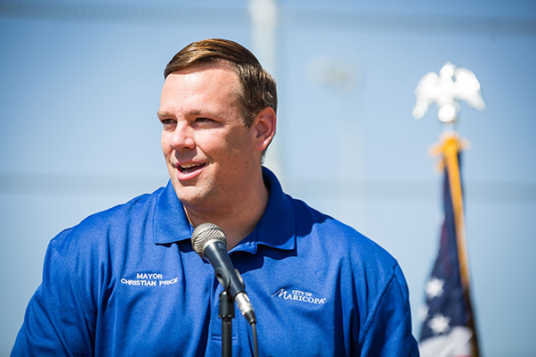 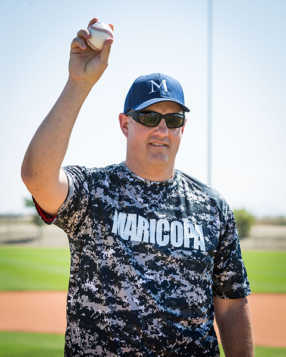 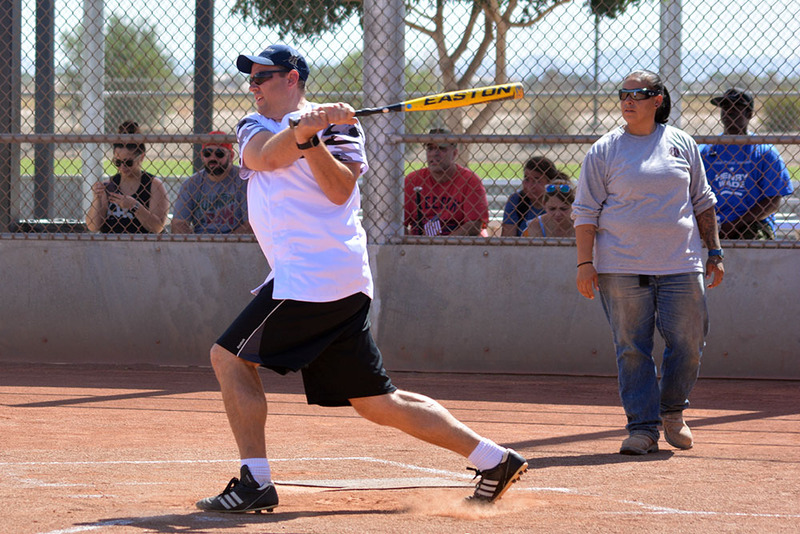 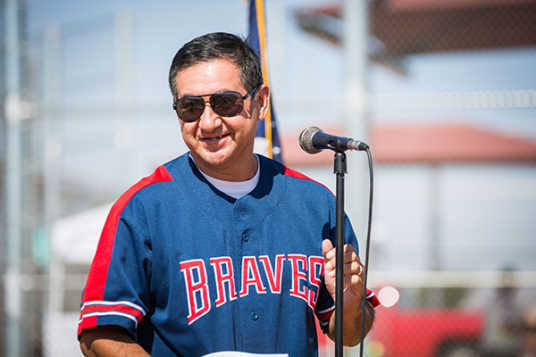 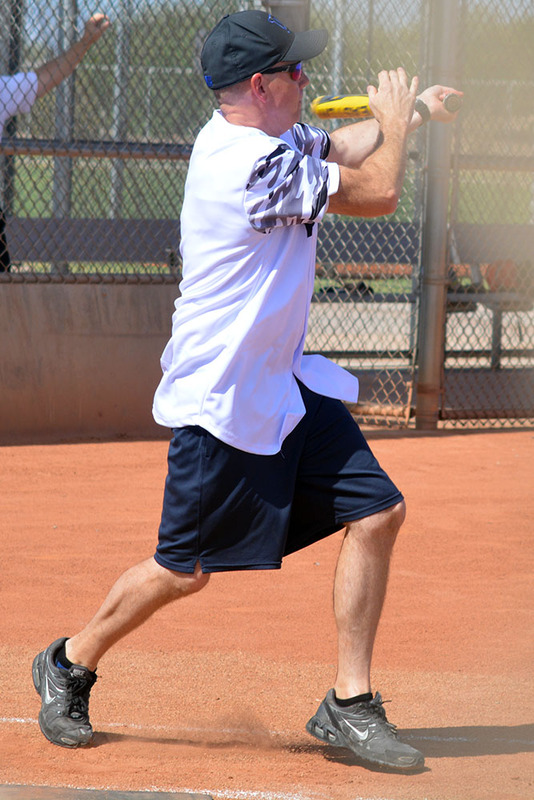 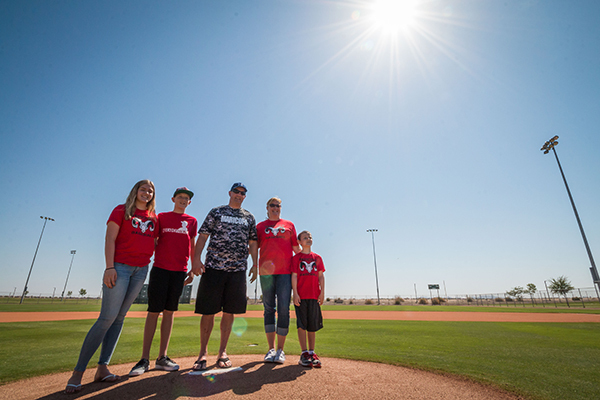 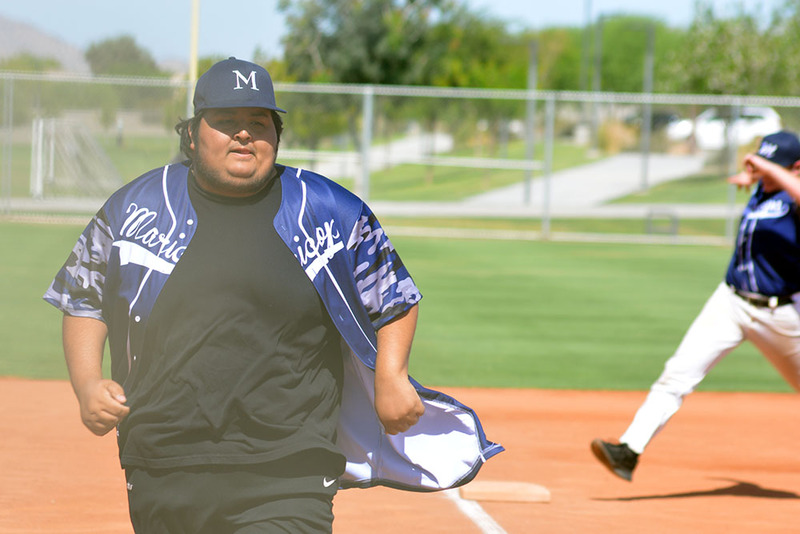 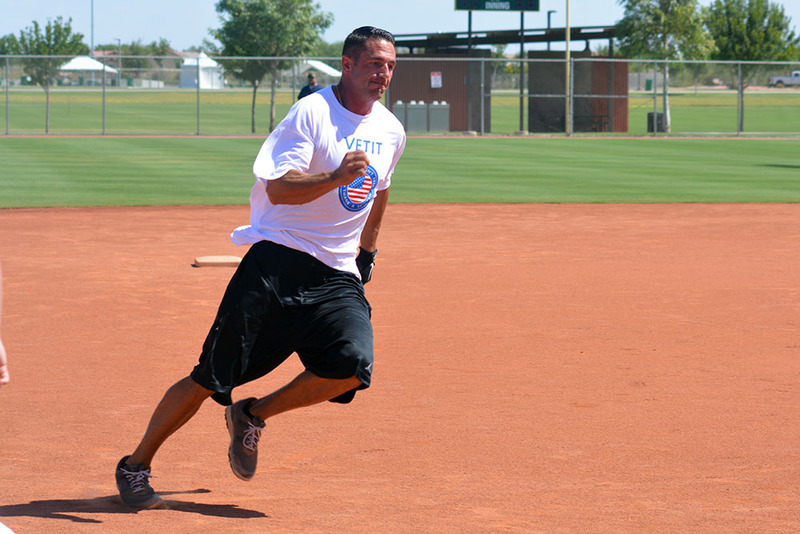 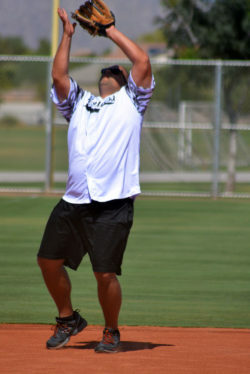 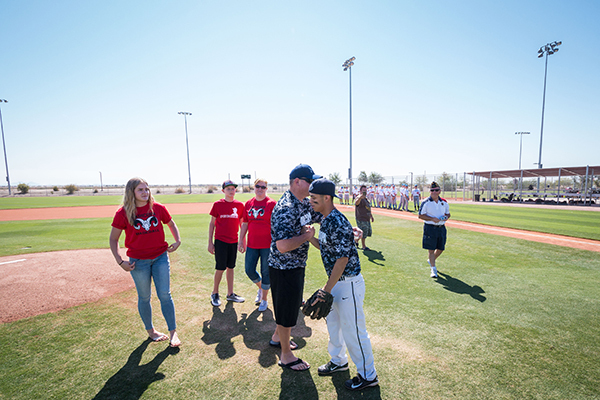 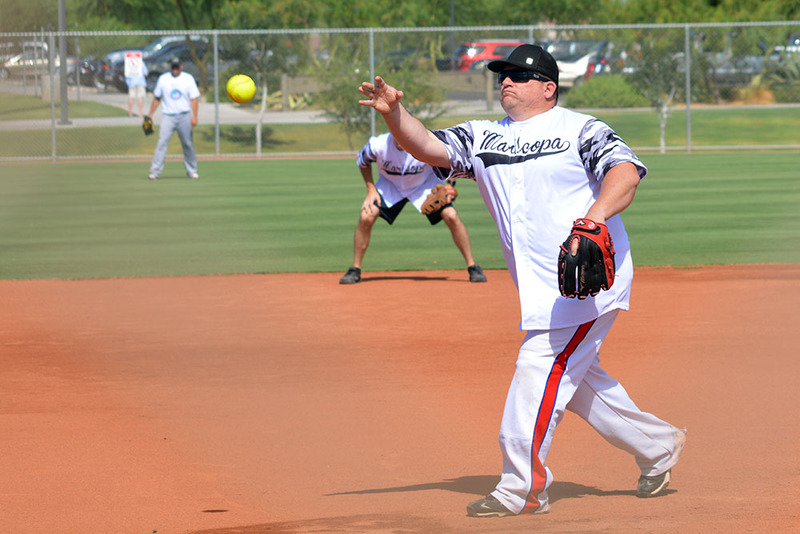 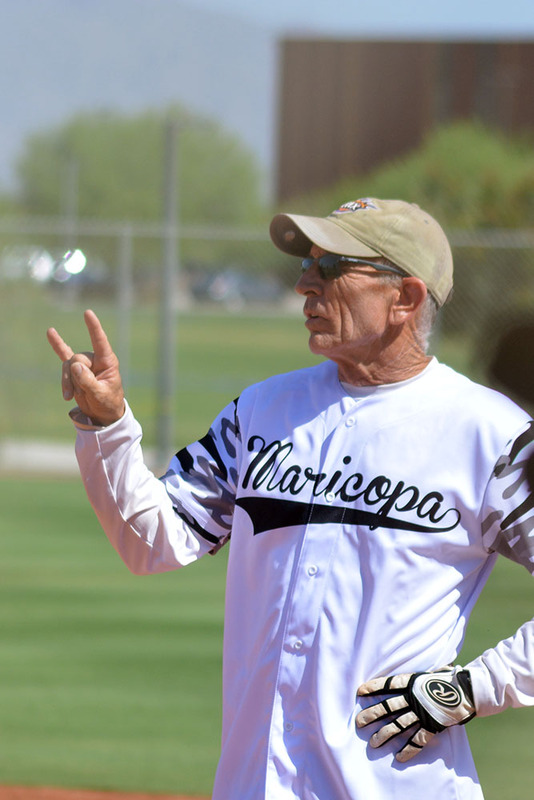 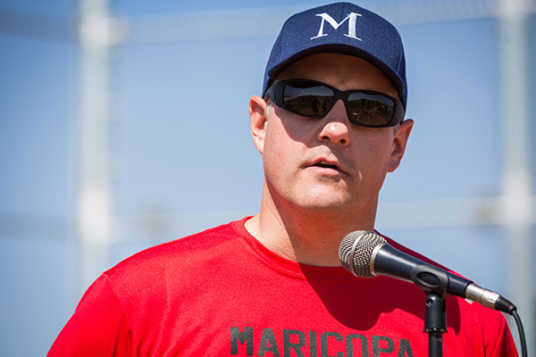 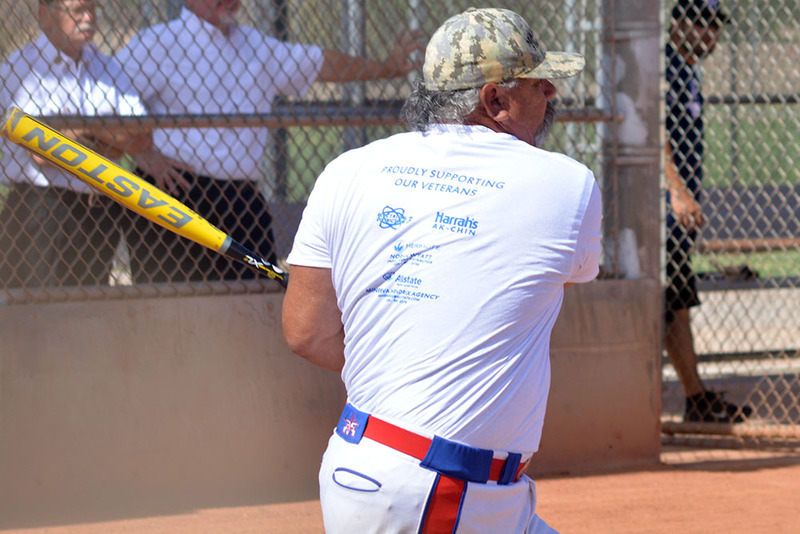 In the meantime, the community is invited to watch the Maricopa team take on City of Maricopa and Ak-Chin elected officials, police and fire and community business leaders in a softball game set for Thursday at 7:30 p.m. at Copper Sky. 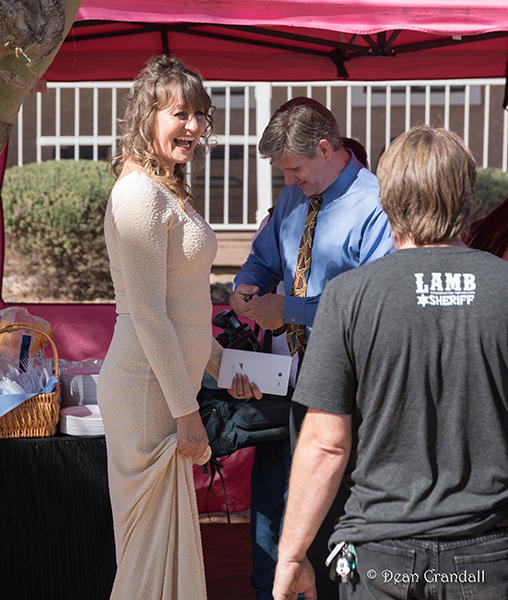 Helen’s Catering will have dinner items for sale for those who want to make a night of it. 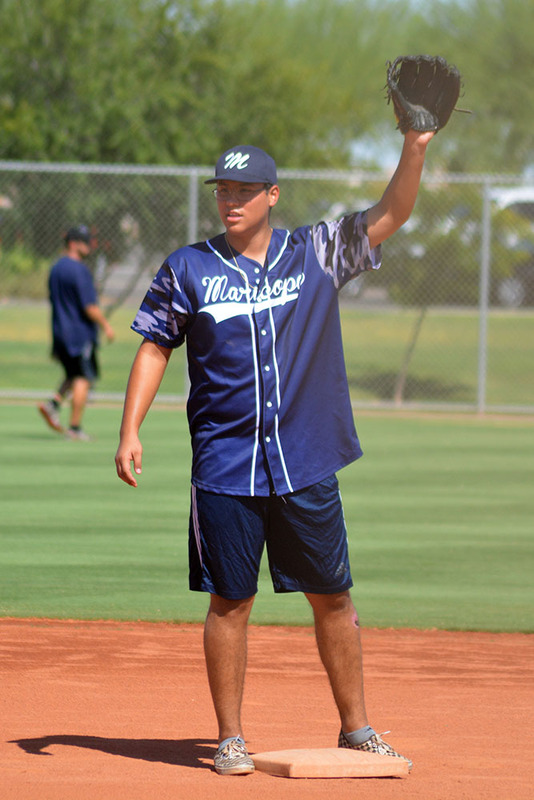 Managing this year’s team are Maricopa High School graduates Jordan Gusse and Jesus Orci-Vega, who are undergraduates at Arizona State University, and Mountain Point graduate Jorge A. Romero. 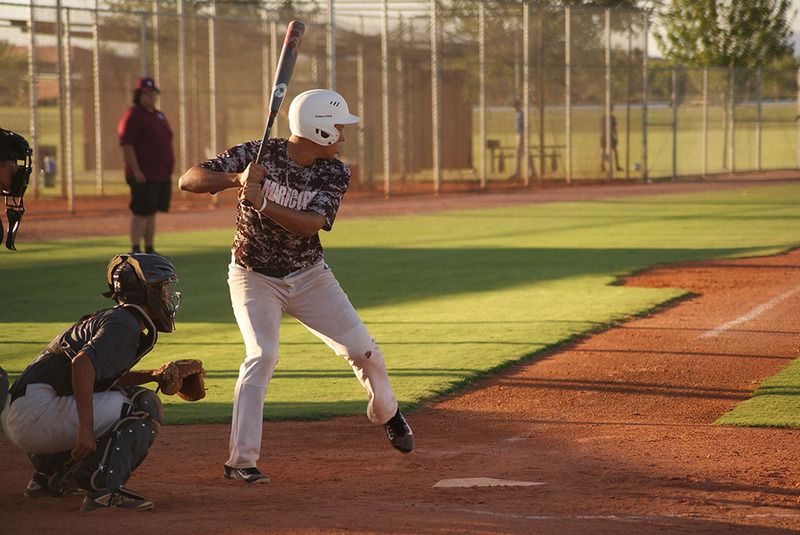 Andres Gusse and Steven Gonzales led the team with batting averages of .571. Marcos Cano threw a perfect game and Andrew Talness was the team-leader in steals. Talsness, Gonzales, Andrews Gusse and Taylor Belcher all hit home runs during the season. 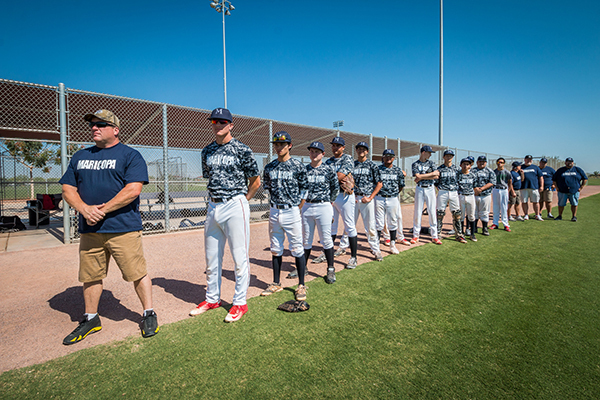 The team also included Kevin McDill, Mason Williamson, Jose Leyva, Elijah Compton, Jackson Stensgard, Joseph Talsness, Noah Huffaker, Renzo Silva, Tyler Belcher and Larry Tran. American Legion Baseball was founded in 1925 and has taught hundreds of thousands of young Americans the importance of sportsmanship, good health and active citizenship. The program is also a promoter of equality, making teammates out of young athletes regardless of their income levels or social standings. Some shy musicians may play the guitar or the piccolo in private. 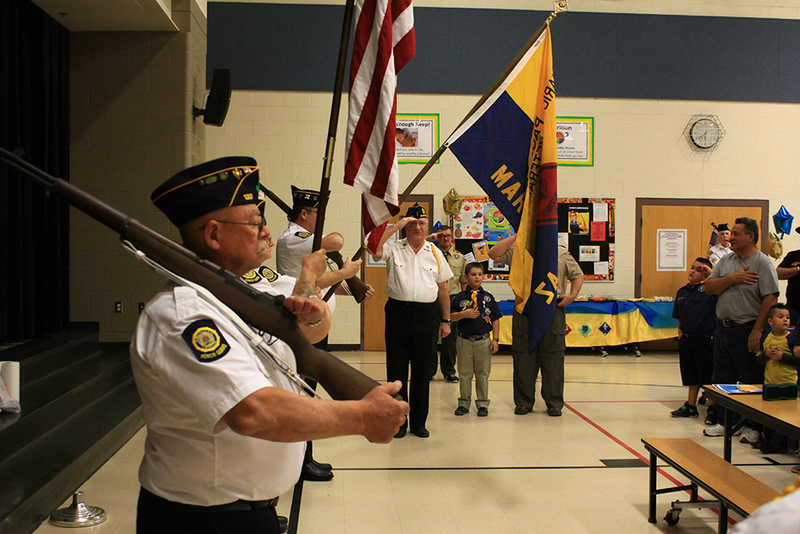 But it is practically impossible to be a private bagpipe player. 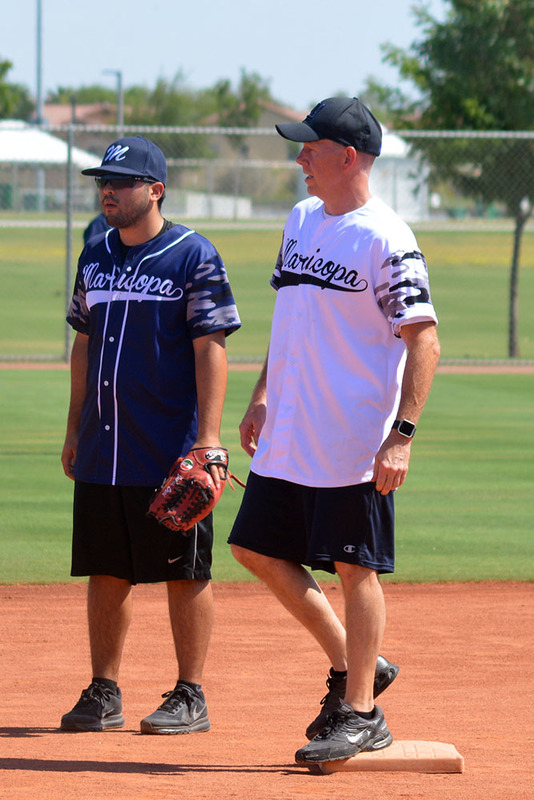 That is why Terry Oldfield and Dave Mundy are quite certain they are the only bagpipers in Maricopa. 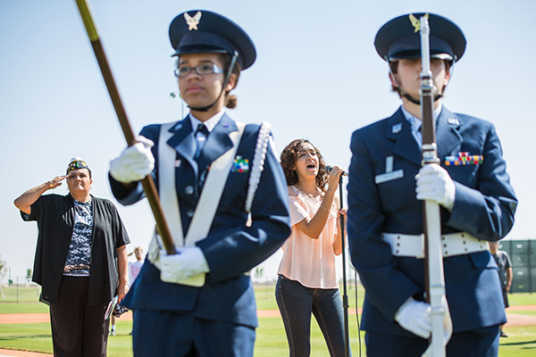 Their uniqueness is a change from their pre-retirement days when they performed with entire bands of pipers – Oldfield in Chicago and Mundy in Denver. 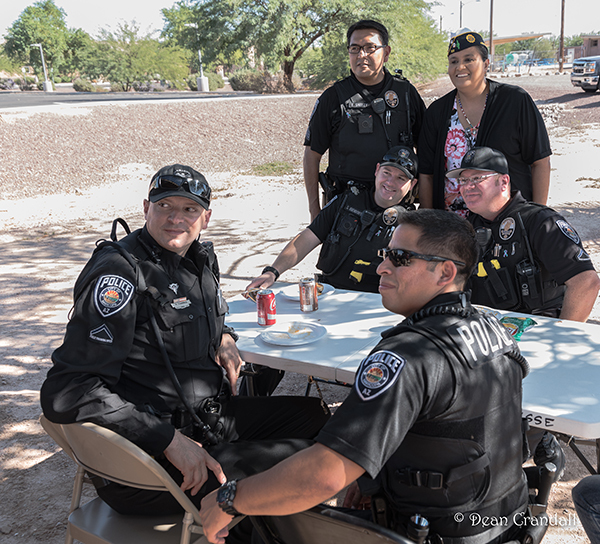 These days they turn heads whenever they show up at a Maricopa event, kilted, with drones set and chanter ready to go. 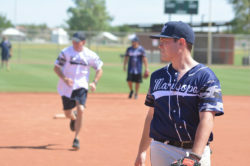 The piercing sound of the pipes draws varied reactions, but Oldfield and Mundy have always had a strong affinity for the music. 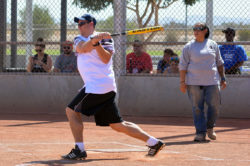 In fact, Mundy is drawn to the deep history of the instrument in military action. 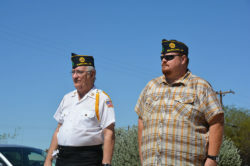 “It’s almost like you’re marching with the men in World War I, World War II or Korea,” Mundy said. 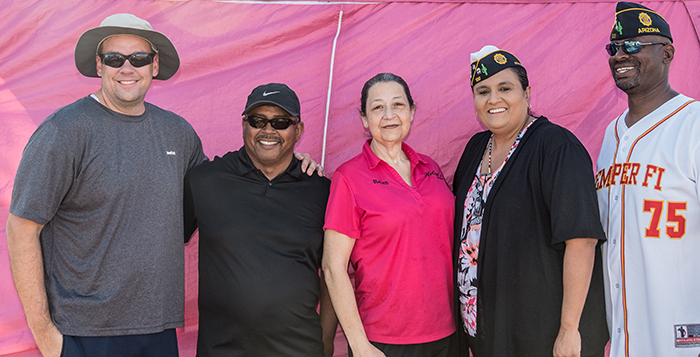 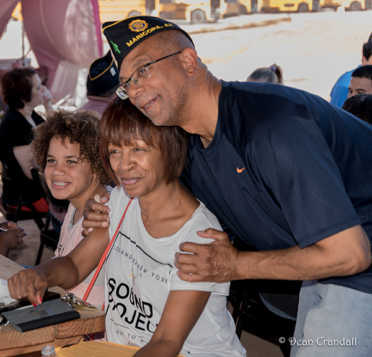 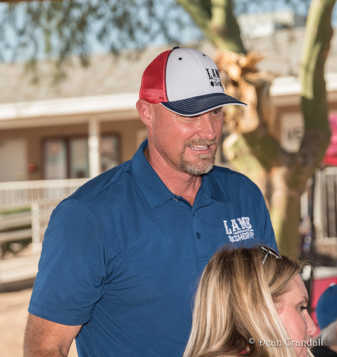 Oldfield, a 23-year veteran of the U.S. Navy and the finance officer and chaplain for American Legion Post 133, is often seen and heard at veteran events in Maricopa. Mundy, who is not a veteran, is asked to play at military and nonmilitary gatherings as well. 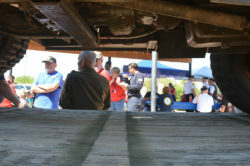 In those settings, anyone in a kilt fits right in. 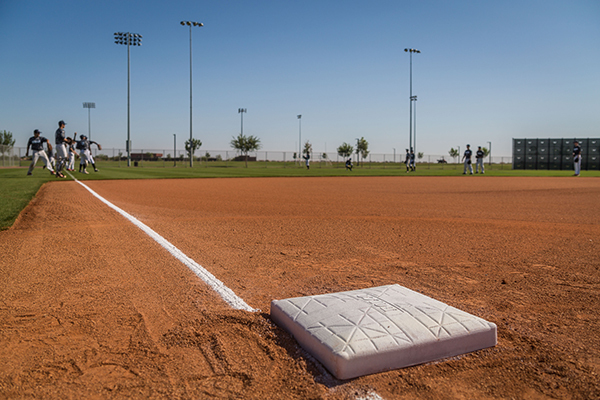 Frequently, they are required. Oldfield wears a MacMillan tartan. 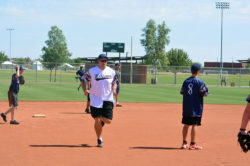 Mundy wears the Colorado state tartan. 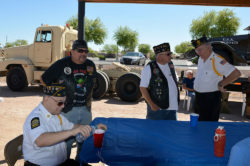 They are also invited to play not-necessarily-Celtic events where a kilt draws stares – weddings, funerals, military and first-responder events, golf tournaments, church services, flag-raisings and, in Oldfield’s case, at least one bachelorette party. 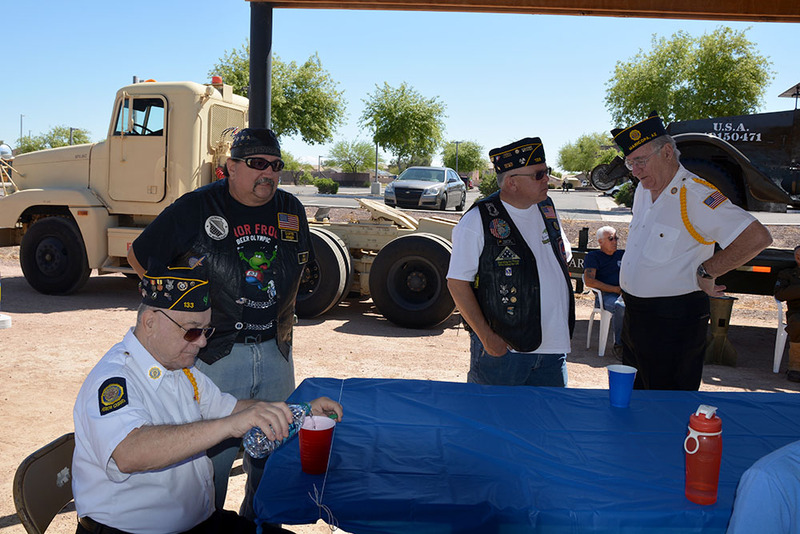 They share war stories from piping competitions, pub crawls and parades. 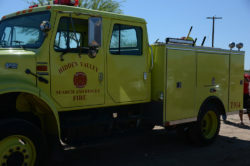 (“Horses don’t like bagpipes,” Mundy said.) 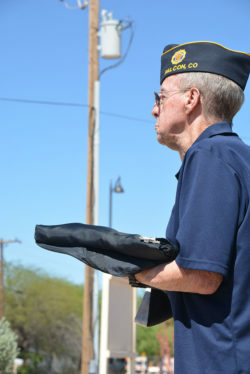 Oldfield spoke of one parade in weather so miserable there were no attendees. 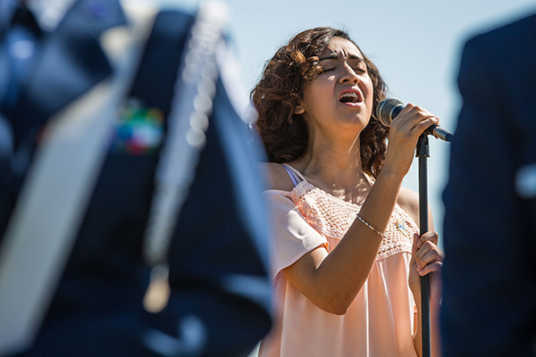 The band had enough, took a right turn and marched into a pub. Already playing guitar, banjo and mandolin, Oldfield took up the bagpipes in his 40s. 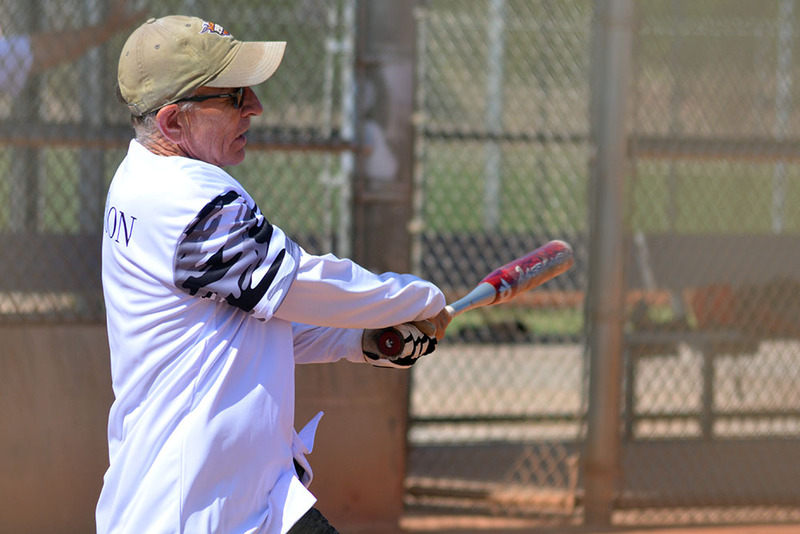 His wife Bonnie encouraged him to pursue lessons, something he had always wanted to do. 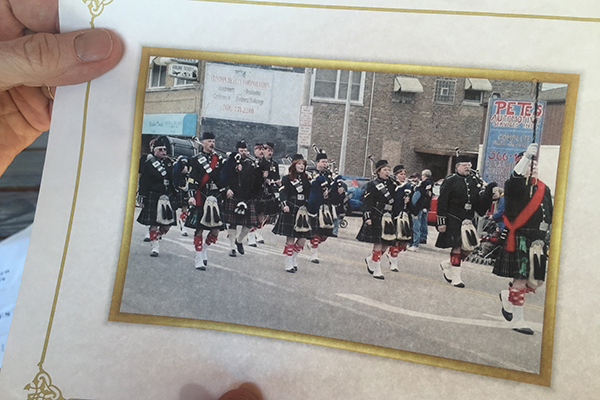 Through an acquaintance he met bagpipe teacher Scott McCawley, who was studying to be a priest at the time. 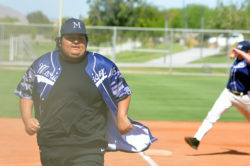 Mundy’s story is similar. 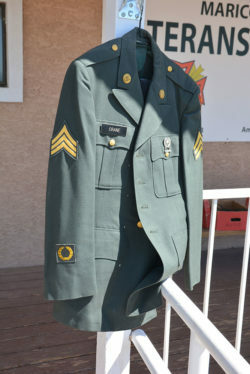 The son of an English father who became a naturalized American and a Canadian mother who did not, Mundy had a lot of exposure to pipe bands in Ottawa. When he was in his early 50s and a psychologist for drug and alcohol addiction, his significant other Judy found top-grade bagpiper Ben Holmes in the phone book and convinced Mundy to give it a try. 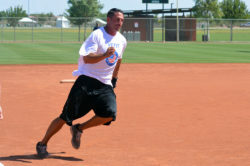 That training led to performances just about everywhere from a Denver Broncos game to a roller derby. For both Oldfield and Mundy, the most unforgettable experience piping has brought them travel to Edinburgh, Scotland, with thousands of massed pipes and drums playing in thunderous unity. 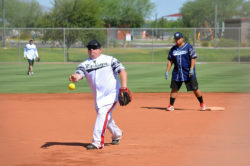 “That’s a whole different ballgame,” Mundy said. 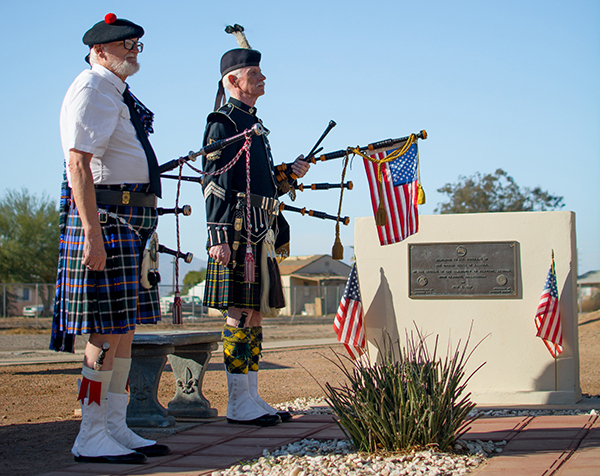 One of Mundy’s most memorable performances was a solo “concert” for an ill veteran of World War II who wanted to hear the pipes again before he died. 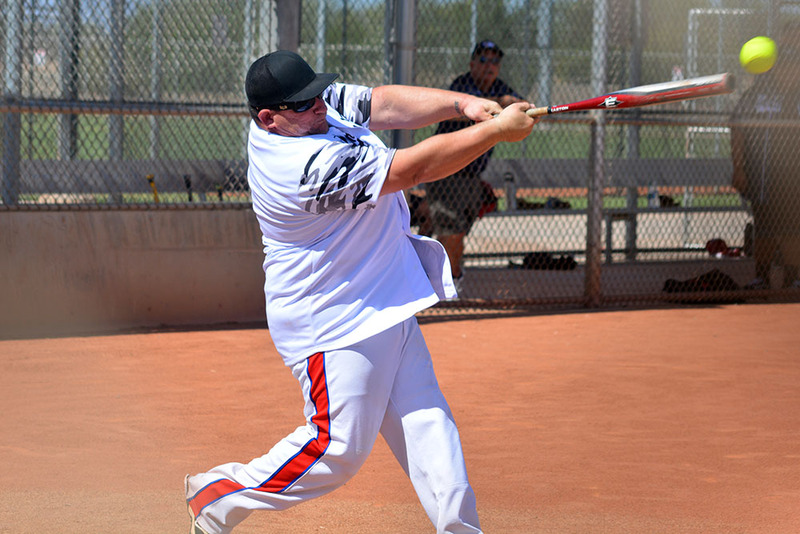 Mundy played 45 minutes of Scottish airs. 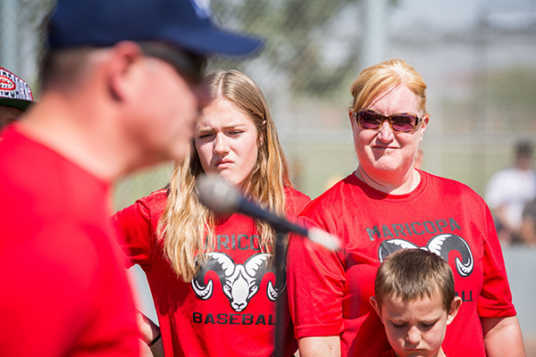 Oldfield cautions prospective bagpipers to be patient and expect many months of lessons. 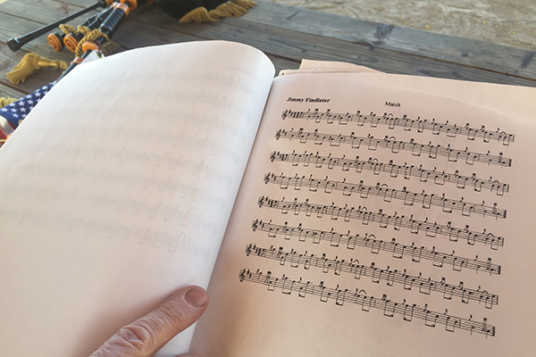 Bagpipes have only nine notes, which calls for adapting and substituting in some music. Besides standards that are among his favorites like “Highland Cathedral” and “Amazing Grace” he will play an assortment of popular and patriotic tunes when appropriate. Whatever it is, it is not subtle. 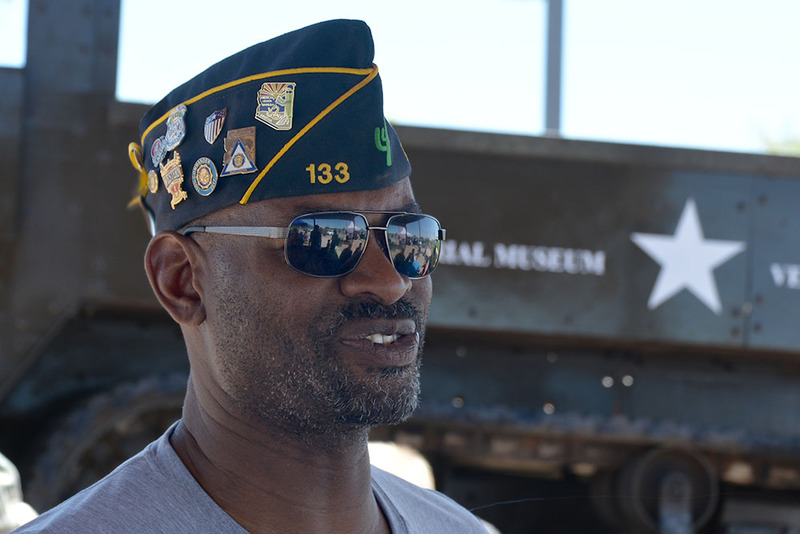 “There’s one level of sound. 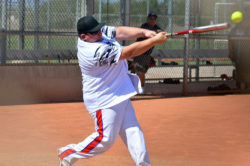 There’s no soft,” Mundy said. Our Appreciation Event [Oct. 8, 2016] was aimed at thanking all those who provide so much for our community and while we understand that this is their “jobs,” they manage to pour their heart and soul into their work and we (The Maricopa American Legion Post #133) wanted to show our appreciation in this small manner. 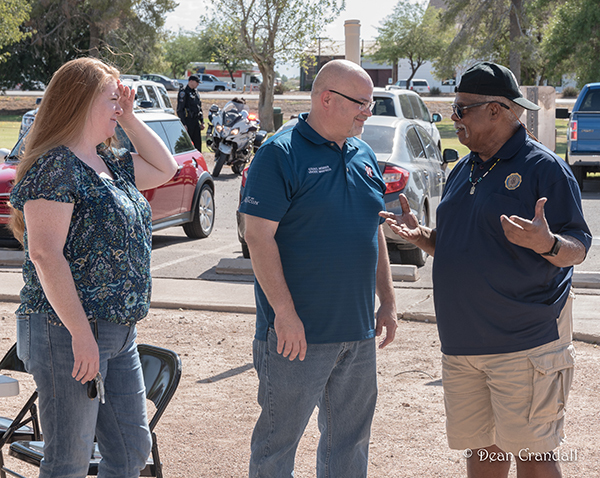 We had about 200 people stop by for our Appreciation Event; firefighters, paramedics, police, political leaders and teachers. We wanted the best for our event, and Helen’s catering went above and beyond what we had ordered and expected; she brought the traditional hot dogs and hamburgers but also brought pulled pork, three different salads and many delicious desserts and those in attendance were happy with the food choices. 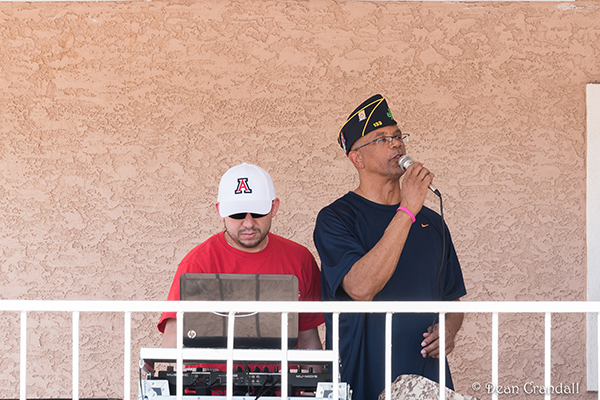 We also featured DJ Markie Mark, a USMC Veteran that kept people entertained and dancing. 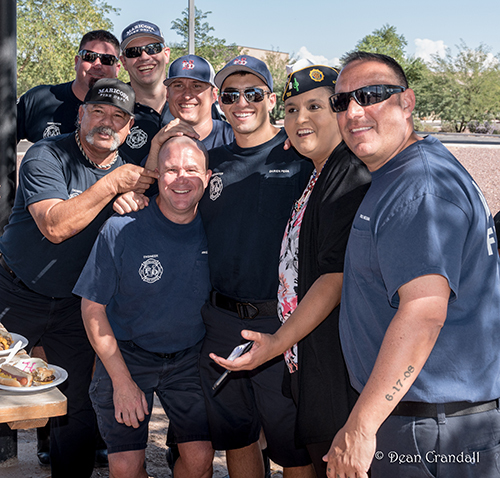 At the end of the event, we distributed a late dinner to all the fire houses and the MPD sub-station, reaching our goal of hosting 300 for our first annual appreciation event. 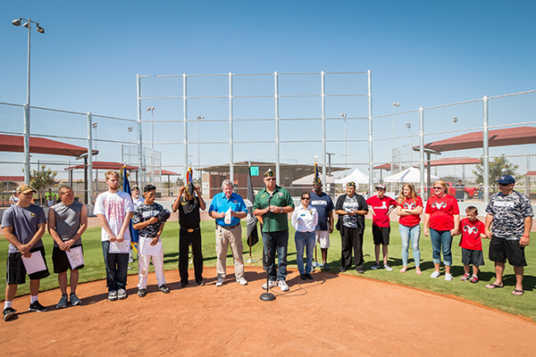 This was all free to the public paid by Post #133 and our sponsors (Global Indemnity, Councilman Henry Wade, Mr. Roy White, Ahwatukee Realty, Benchmark Home Loans, Julia Romero Gusse and Dan Frank). 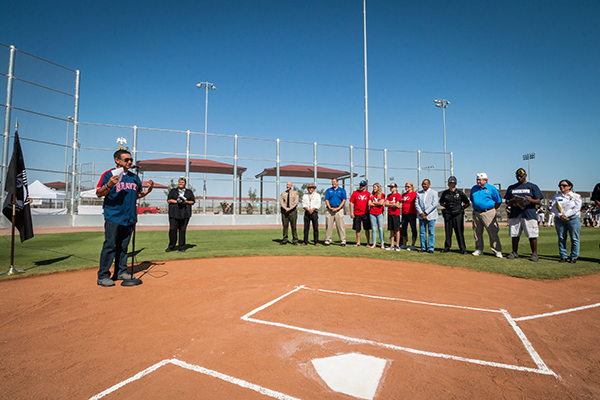 Without the generous sponsors, this would not have been possible. 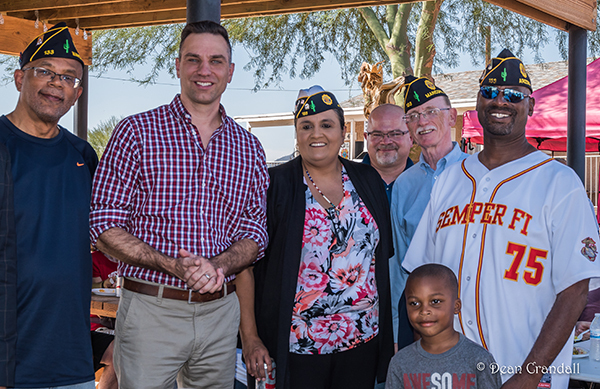 We want to thank everyone in attendance and remind the community that we are forever grateful and appreciate our local heroes. 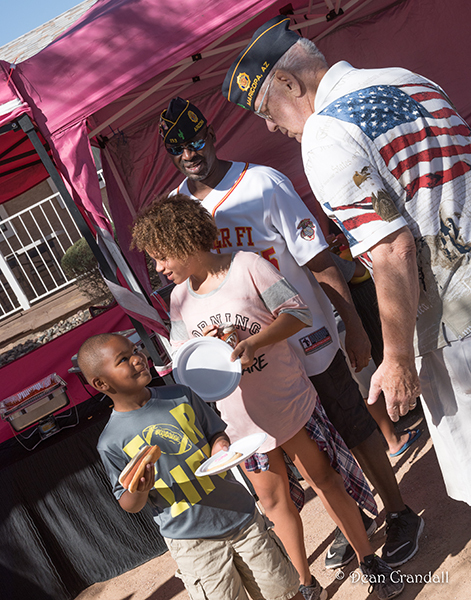 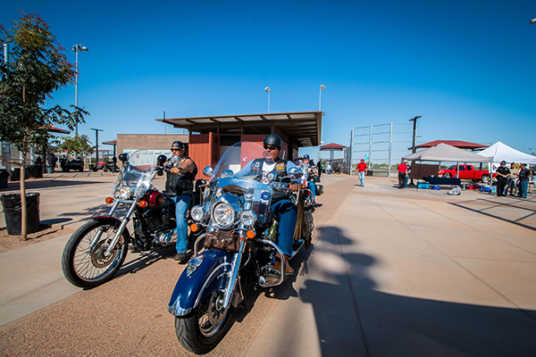 Maricopa’s American Legion Post hosted an Appreciation Day on Saturday to honor police officers, firefighters, teachers, political leaders and more. 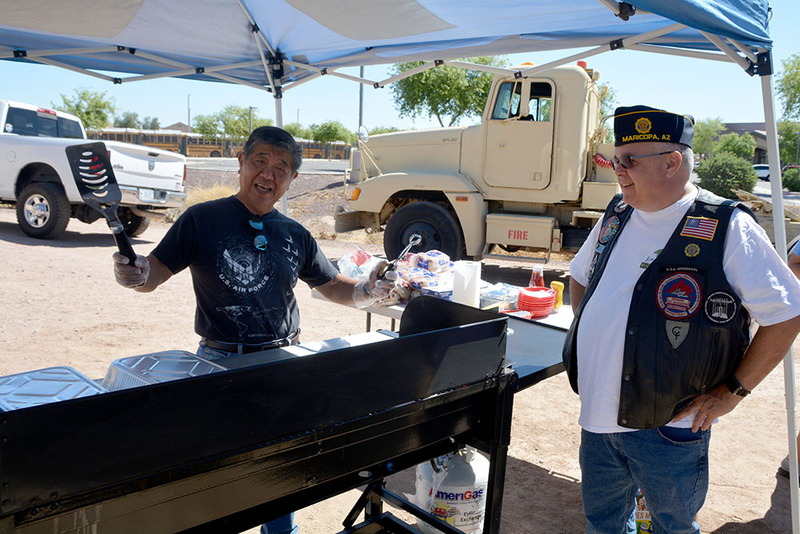 Around 200 people dropped by during the day, and more first responders were served a late dinner by the legion. 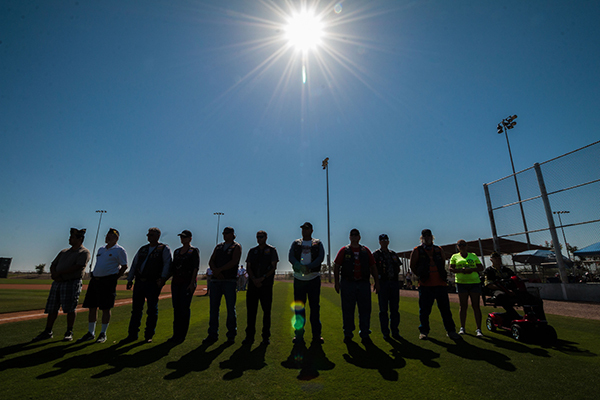 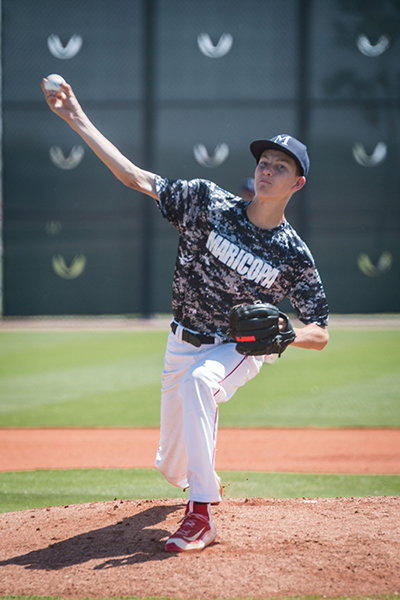 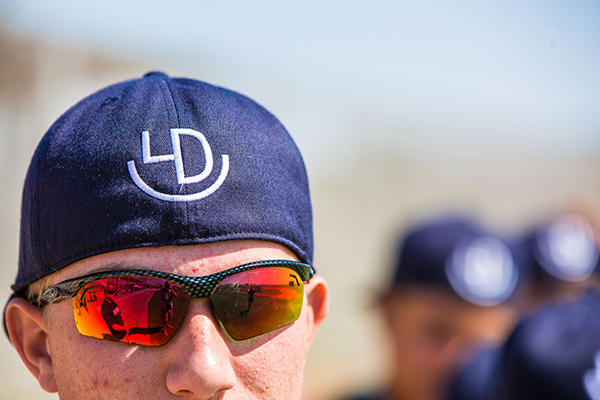 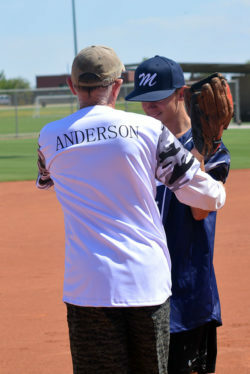 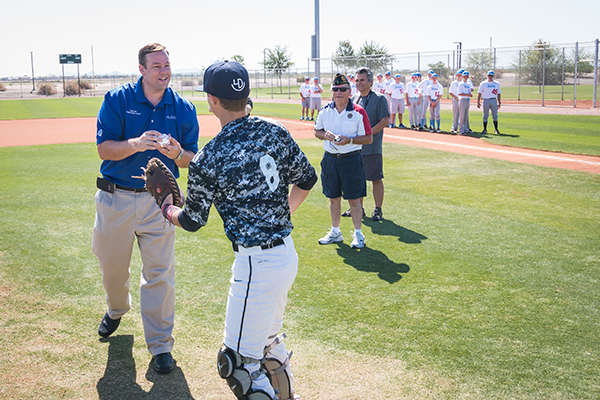 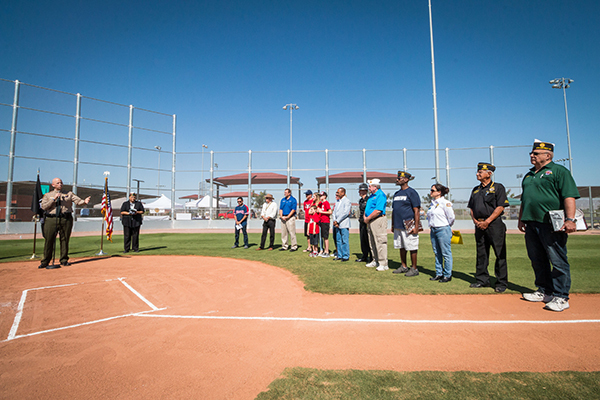 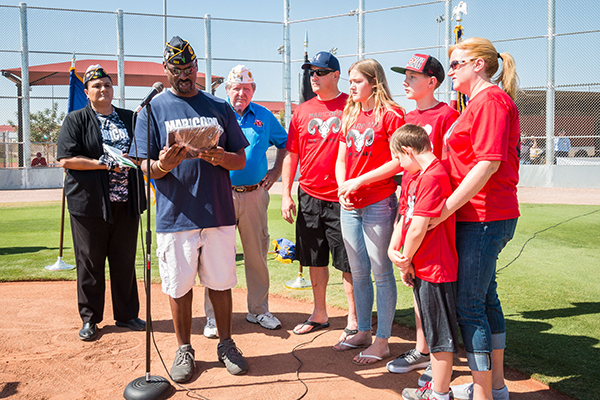 Maricopa’s American Legion Baseball season opened Saturday. 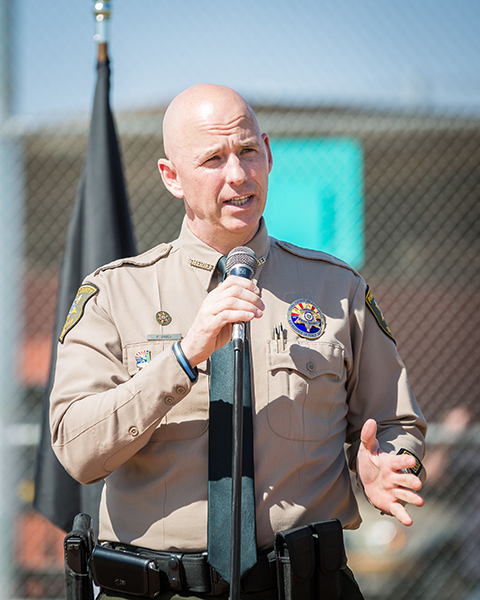 Speakers included Mayor Christian Price, Ak-Chin Chairman Robert Miguel, Sheriff Paul Babeu and City Manager Gregory Rose. But the center of attention was on the Ford family as the Legion paid tribute to the legacy of Nate Ford. 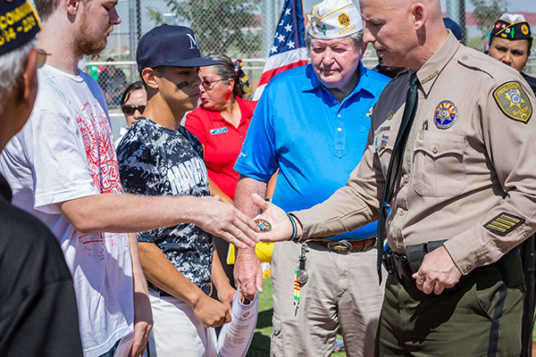 The sheriff gave out commissioner’s coins to four young men being honored as they go into the military. The American Legion will be hosting a five-kilometer “Veteran’s Run” on Nov. 7 at Copper Sky Regional Park to raise money for the American Legion and American Legion Auxiliary, as well as promote healthy living for veterans and members of the community. 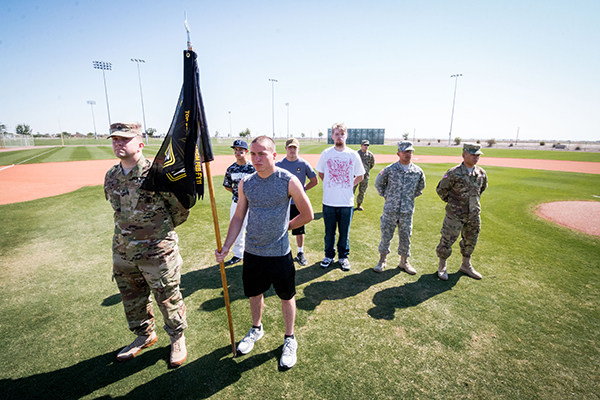 Prior to the run, a flag ceremony is set to begin at 8 a.m. 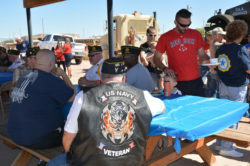 The race is expected to start shortly after at 8:15 a.m., and a pancake breakfast will be held from 8 to 11 a.m. for runners and non-runners alike. The cost to run in the race is $20, and participants can sign up for the event up until the race begins. 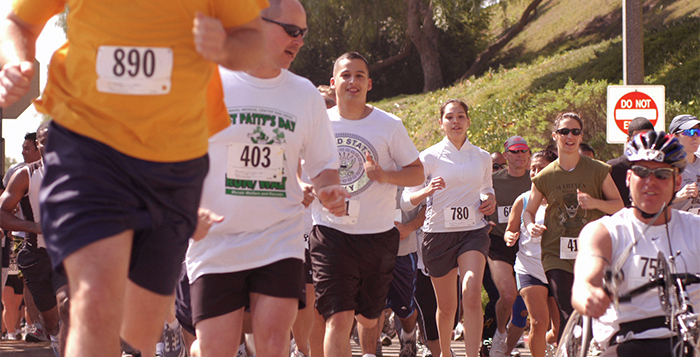 Pre-registration will start at Copper Sky at 7 a.m. on the day of the race. 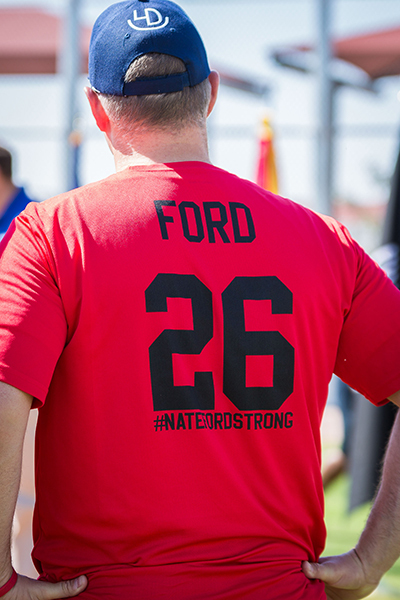 Participants can also sign up for the race by Oct. 26 and receive a T-shirt. 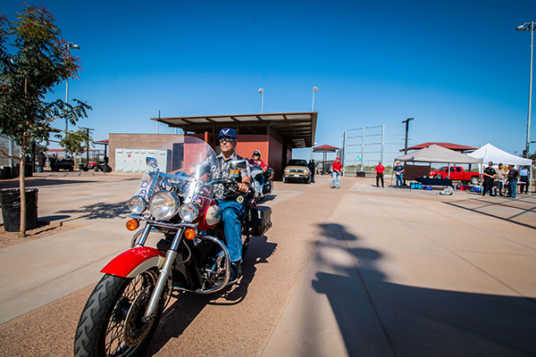 Registration forms are available at the Bernie G. Crouse American Legion Post 133 located at 44240 W. Maricopa-Casa Grande Highway in Maricopa or online. 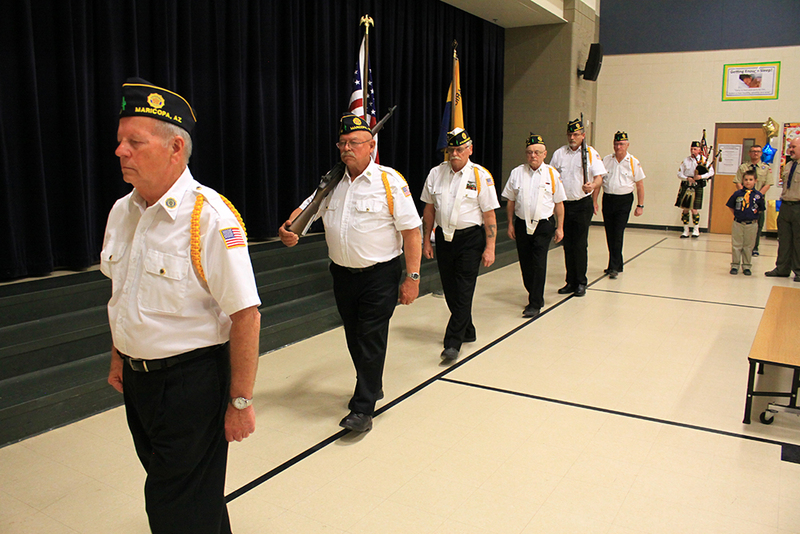 “All the money will go to the American Legion and the American Legion Auxiliary,” Oldfield said. All participants are invited to come back to Copper Sky at 6 p.m. for a 1950s themed concert featuring “Come Back Buddy.” The evening event is sponsored by Maricopa Ace Hardware and will be free to the public. 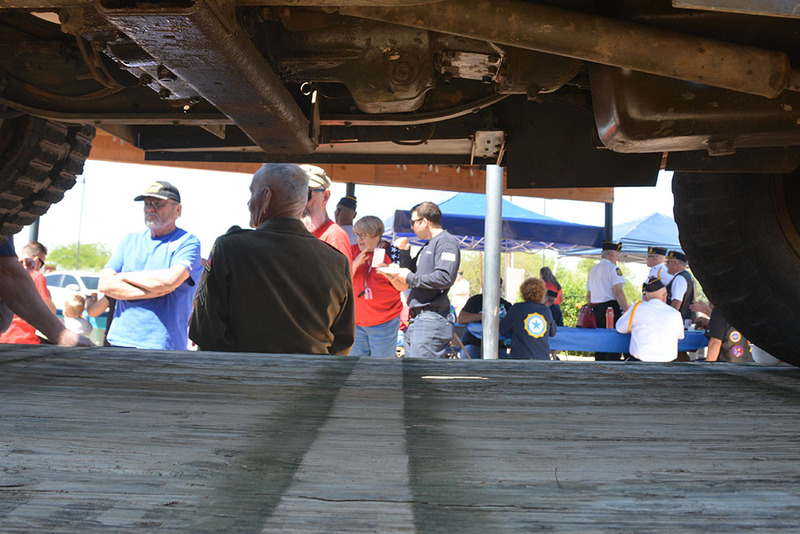 Attendees are encouraged to dress up in their best 50s attire, break out their classic cars and enjoy the show. 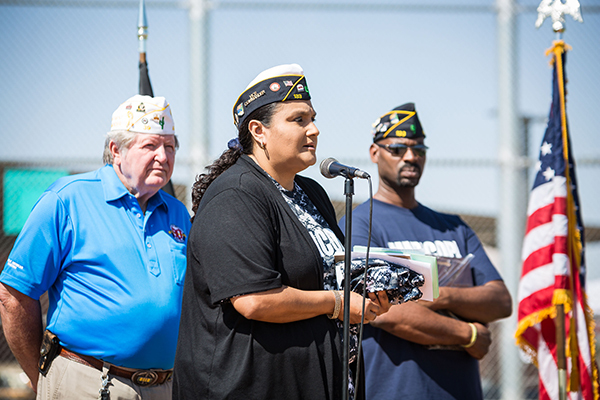 When: Nov. 7, 8 a.m.
Where: Copper Sky Regional Park, 44345 W. Martin Luther King Jr. Blvd.